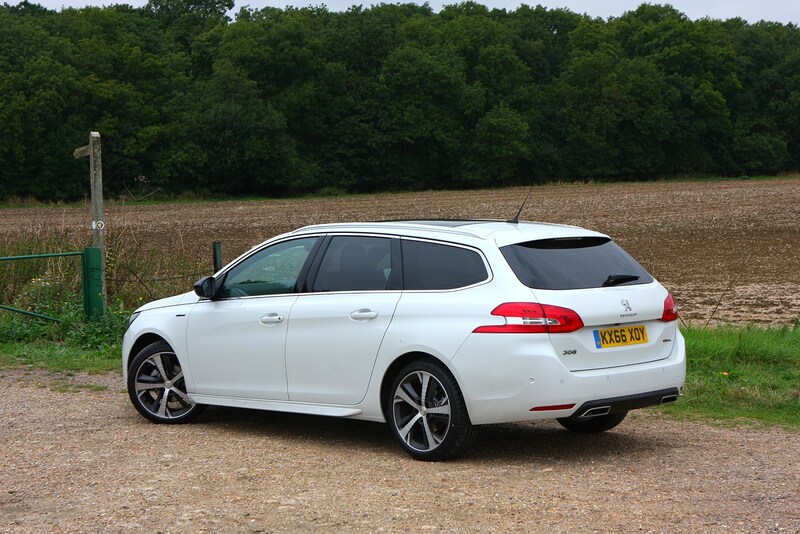 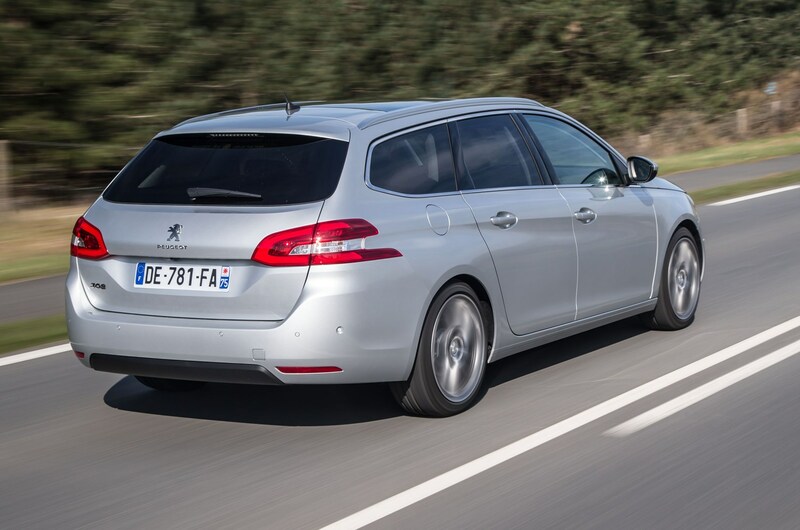 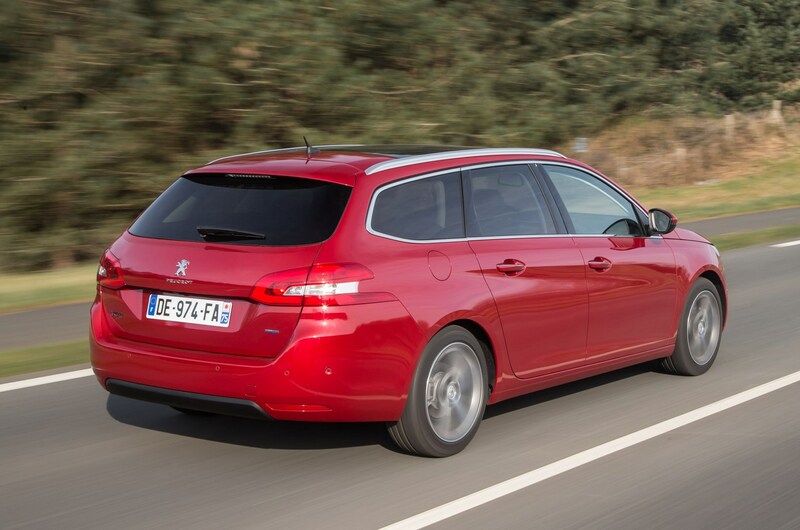 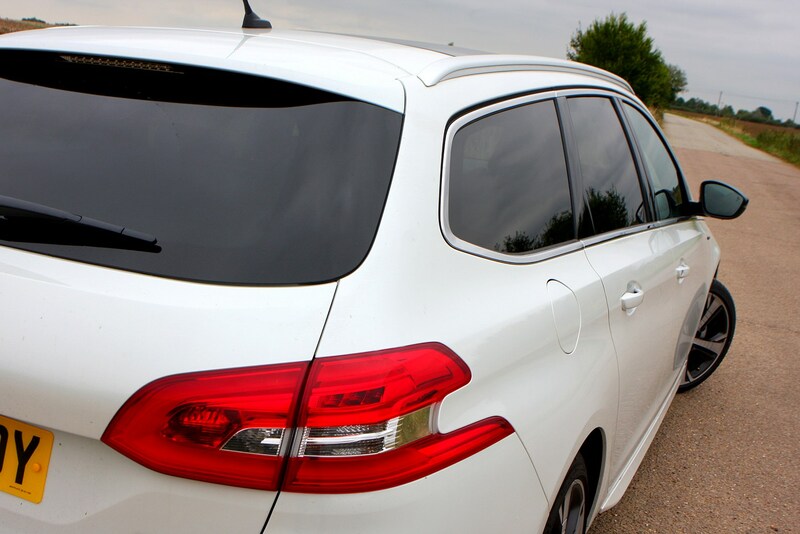 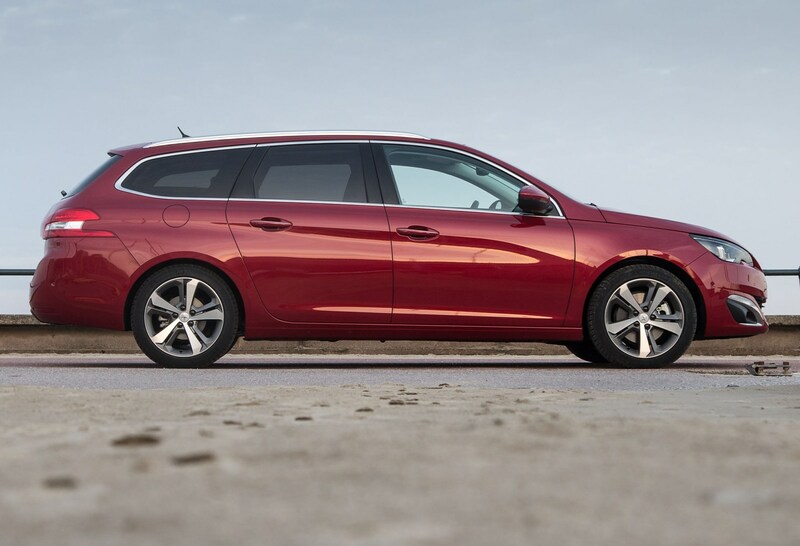 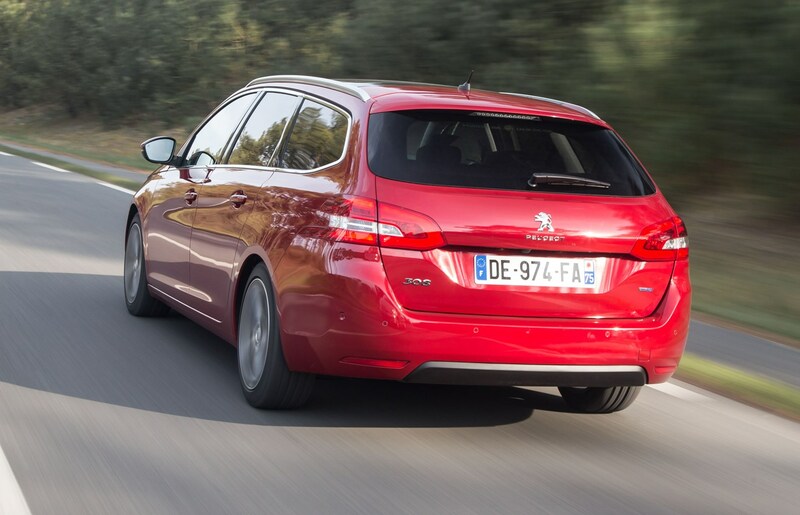 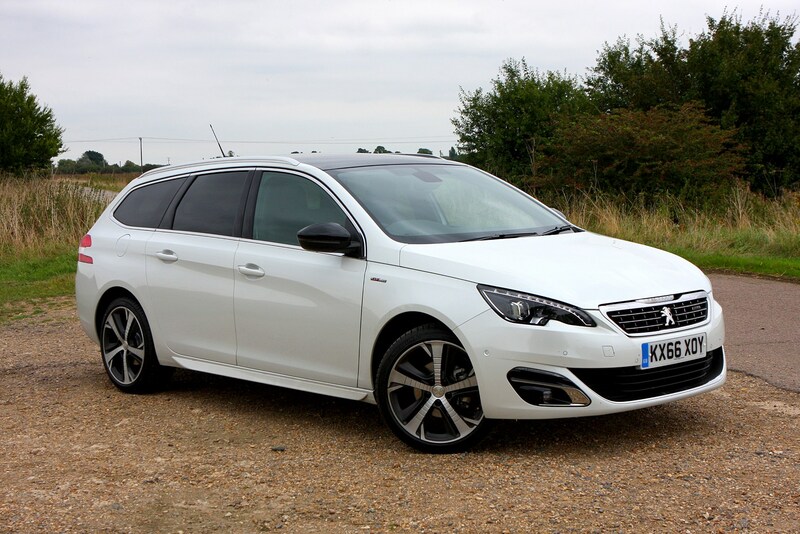 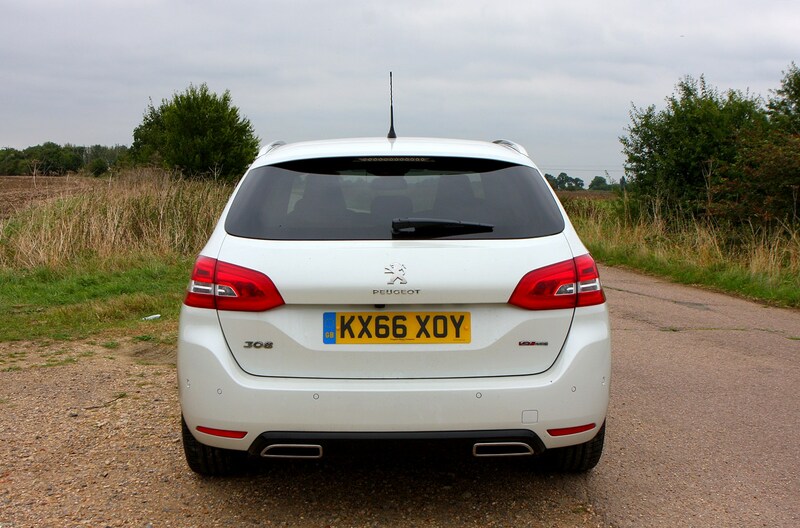 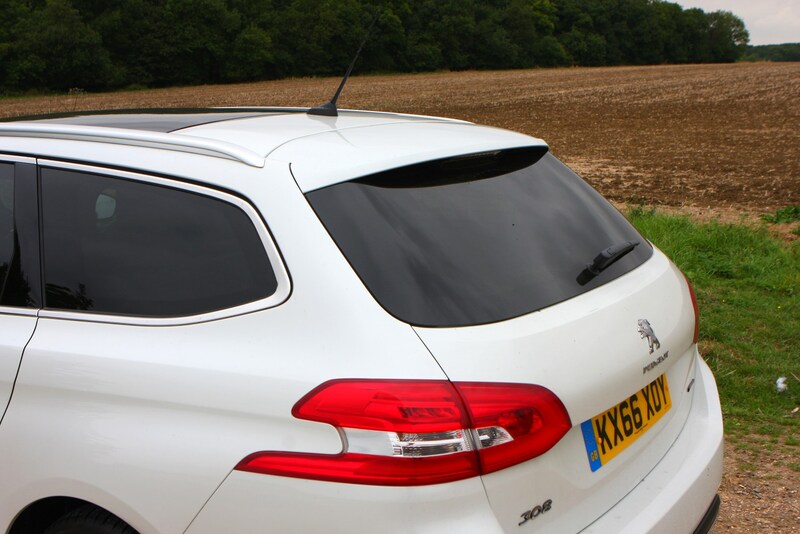 This is the Peugeot 308 SW, the estate version of the well-received 308 hatchback. 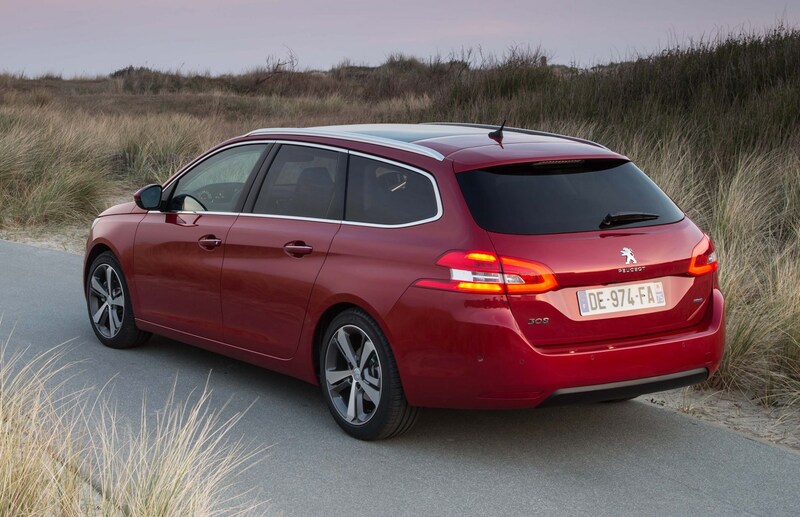 It’s a fair bit longer than the hatch, with improved room for both passengers and luggage, and it features a new range of impressively efficient petrol and diesel engines. 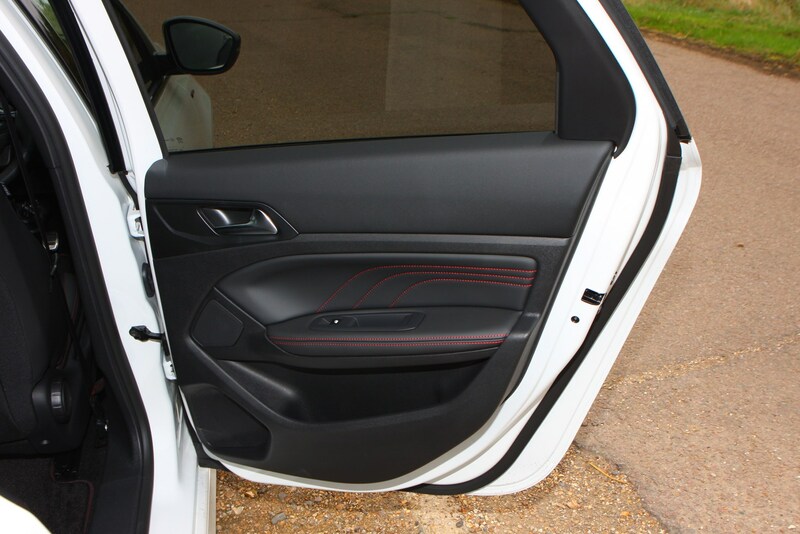 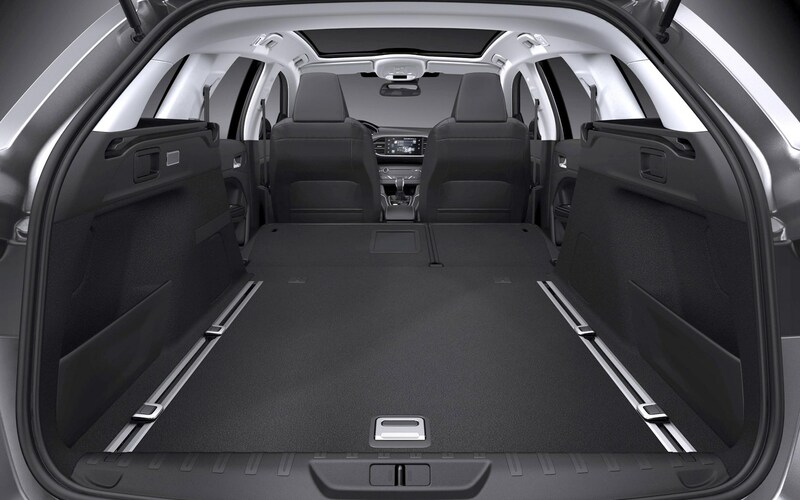 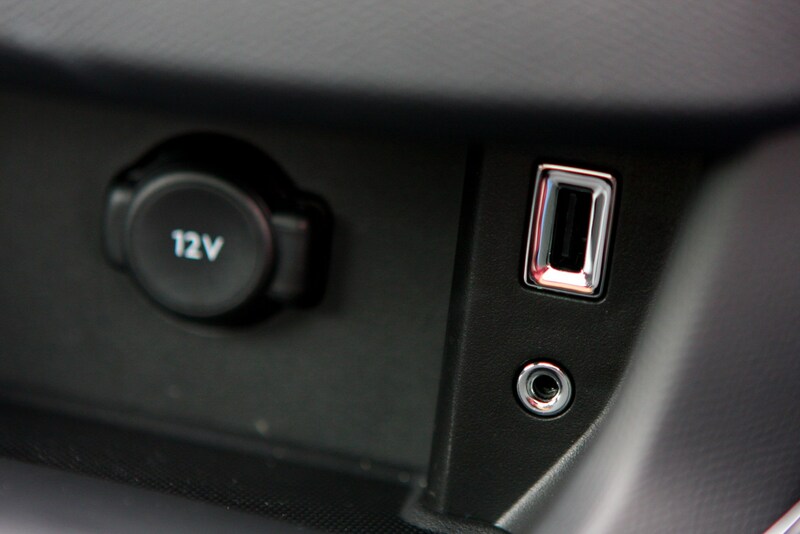 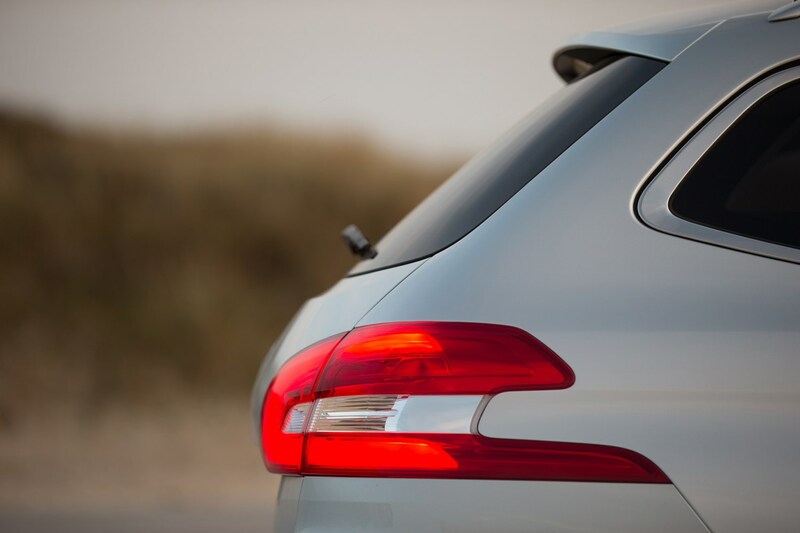 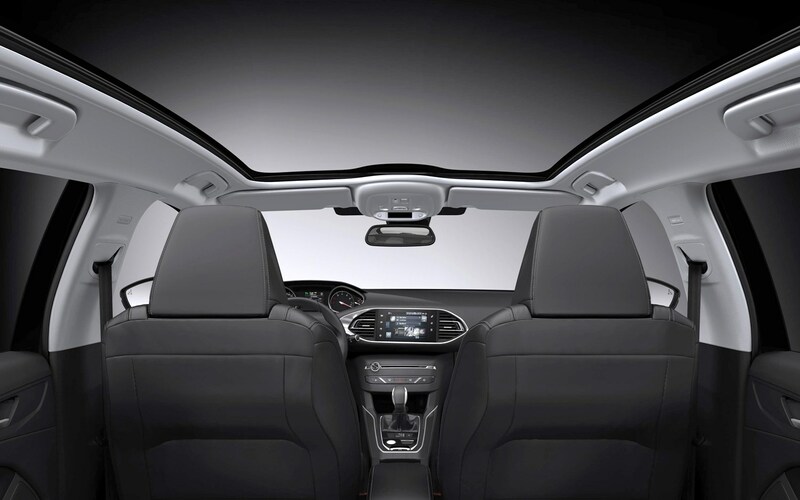 With a wheelbase (the distance between the front and rear wheels) that’s 11cm longer than the hatch, the rear doors open wider and there’s more knee room for rear passengers. 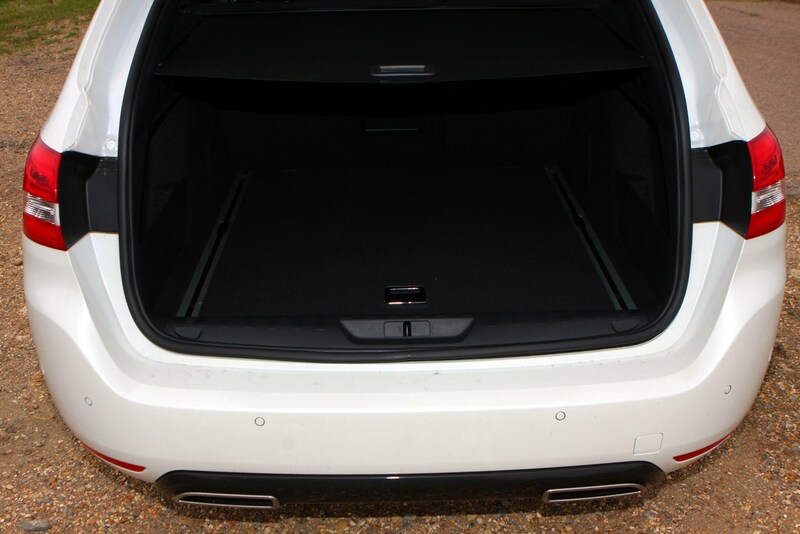 The bulk of the extra length is concentrated behind the rear wheels though, with an extra 22cm of rear overhang making for a genuinely huge boot. 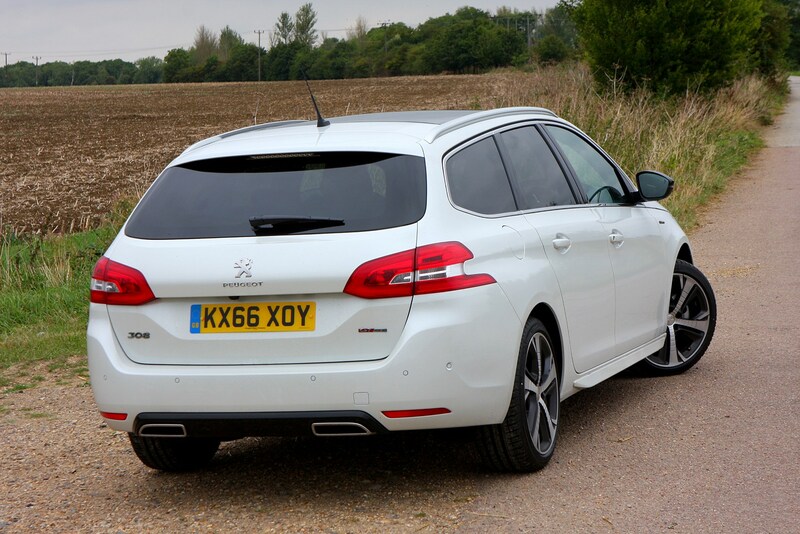 With 660 litres of space to the parcel shelf with the rear seats up, it’s actually more spacious than the Peugeot 508 SW estate. 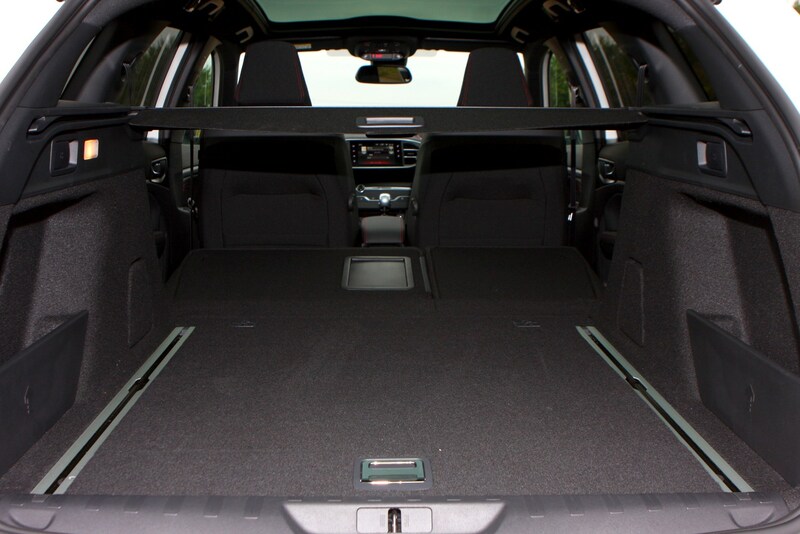 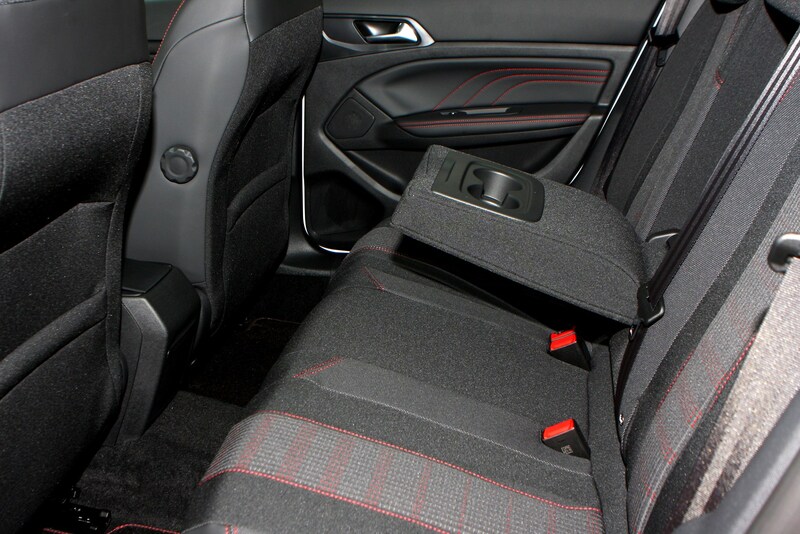 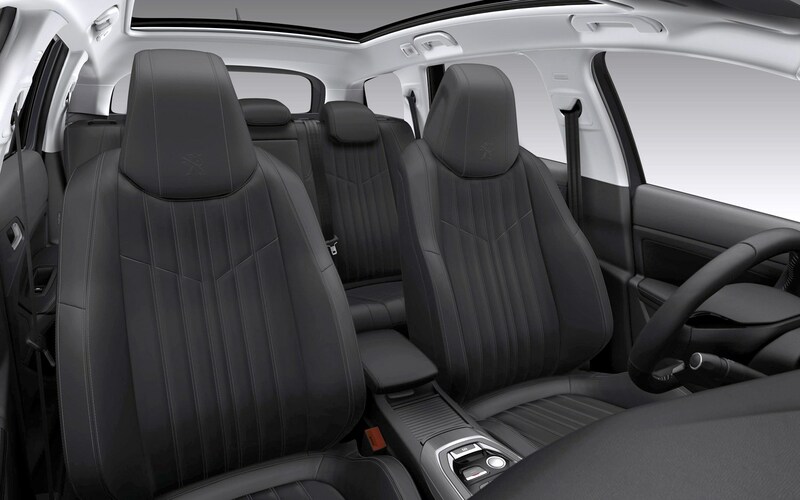 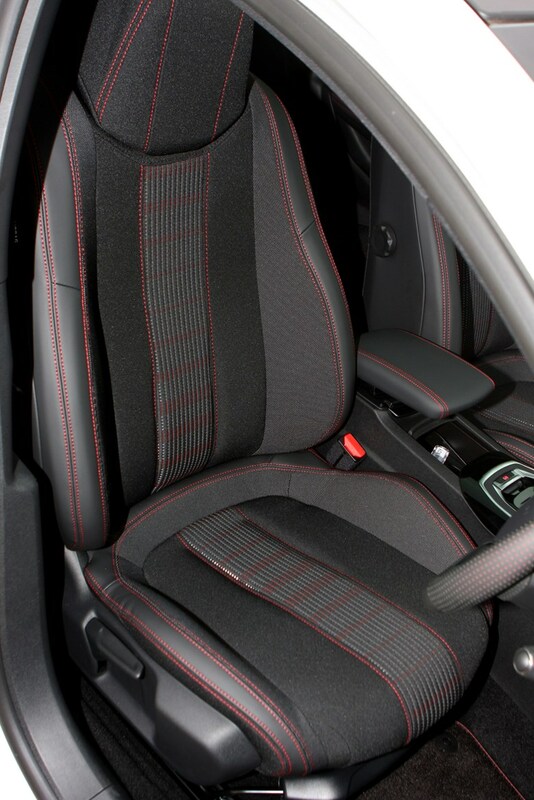 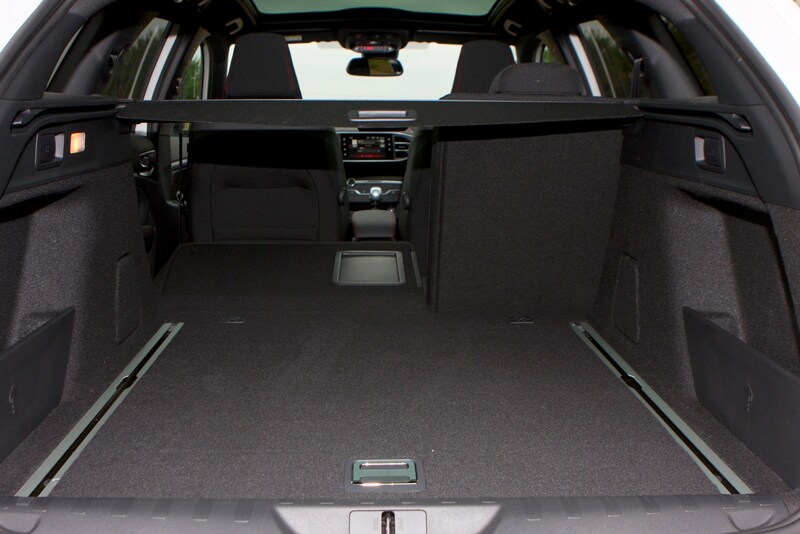 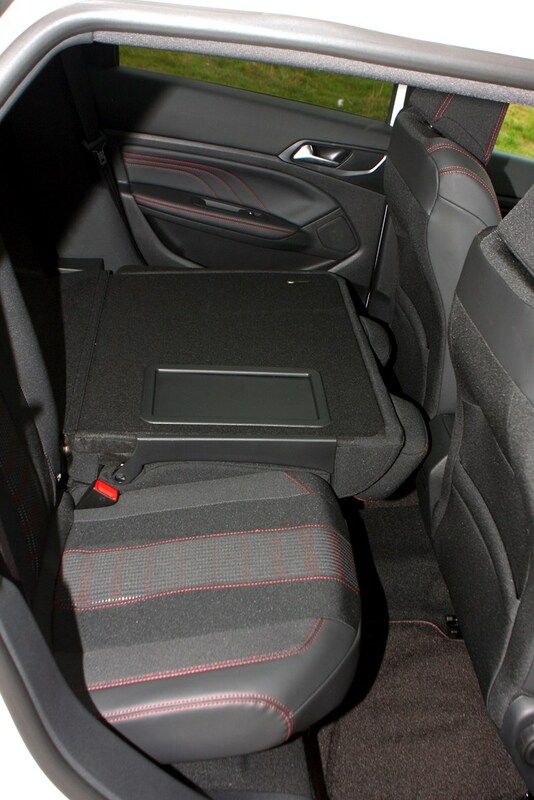 A major plus point is the fact that the rear seats fold completely flat (providing you’ve moved the front seats forward a touch) and a load-through hatch in the middle of the rear seat backs is standard. 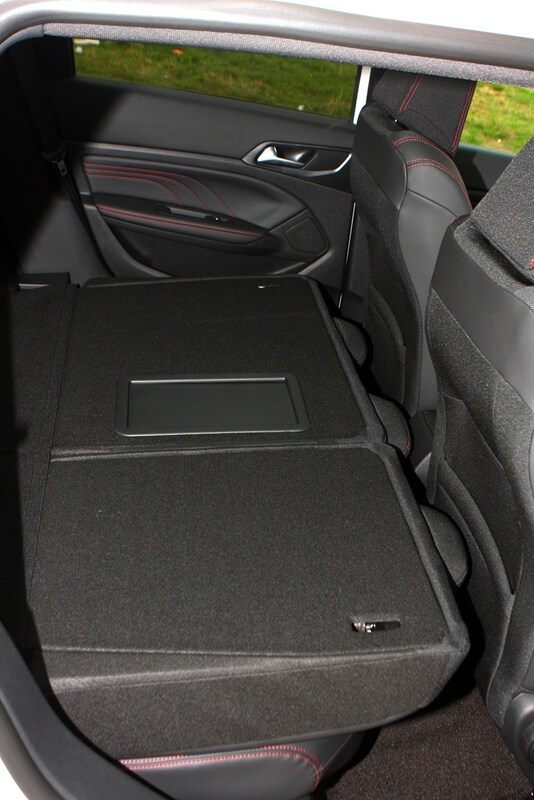 The boot lip is low to help make packing heavy objects easier and there are rails along the boot floor with sliding and removable anchor points. 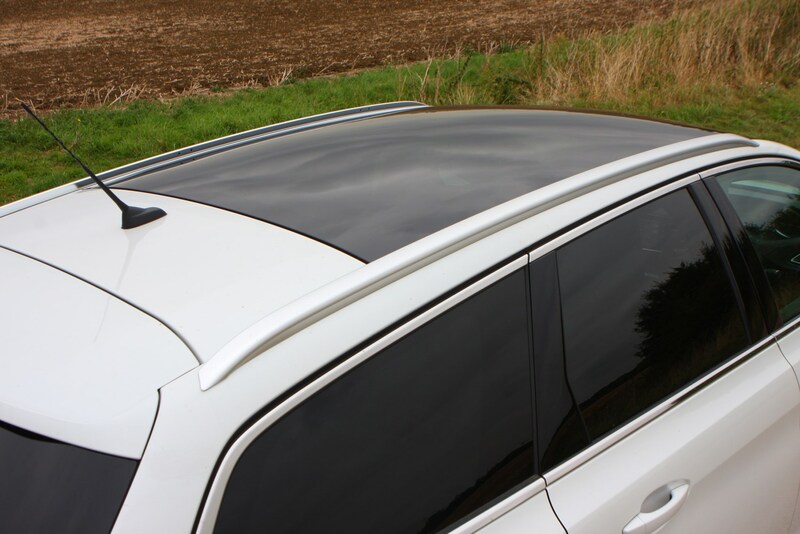 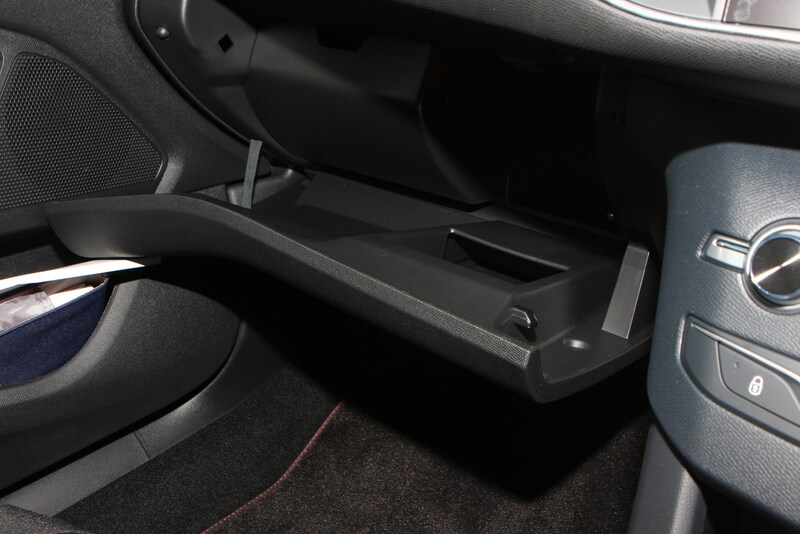 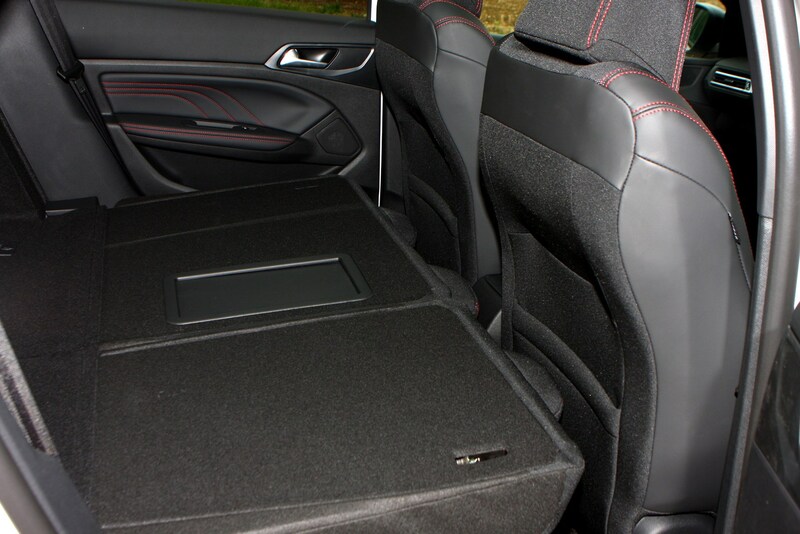 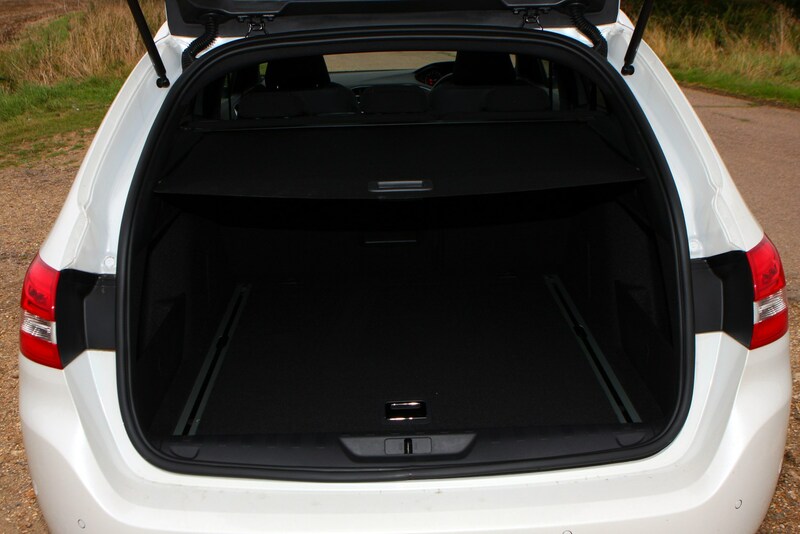 Although there’s less underfloor storage space than you might expect, it is possible to stow the retractable parcel shelf diagonally over the spare wheel well. 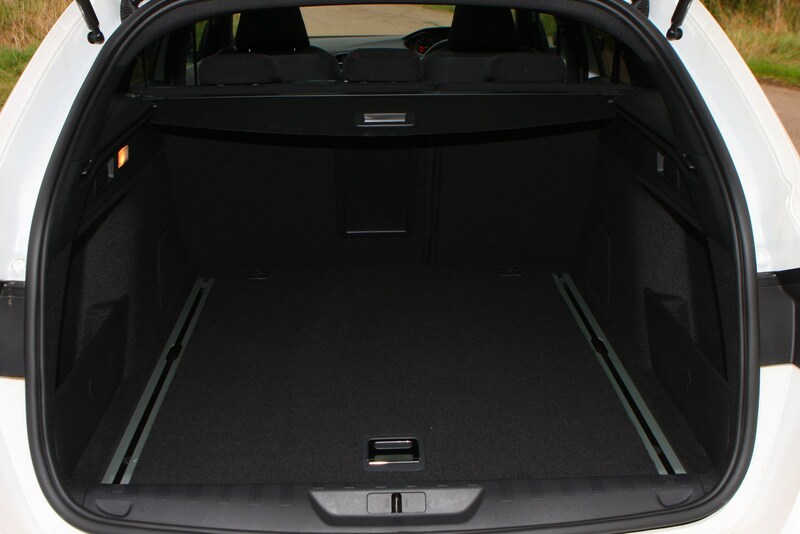 Although the SW has a larger boot in terms of litres than rivals such as the Skoda Octavia Estate and Honda Civic Tourer, it doesn’t offer any major advantages over them in terms of pure practicality. 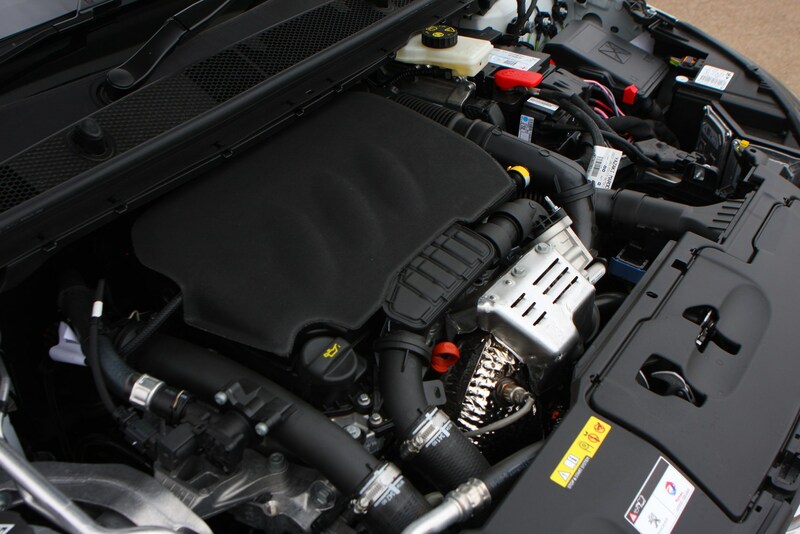 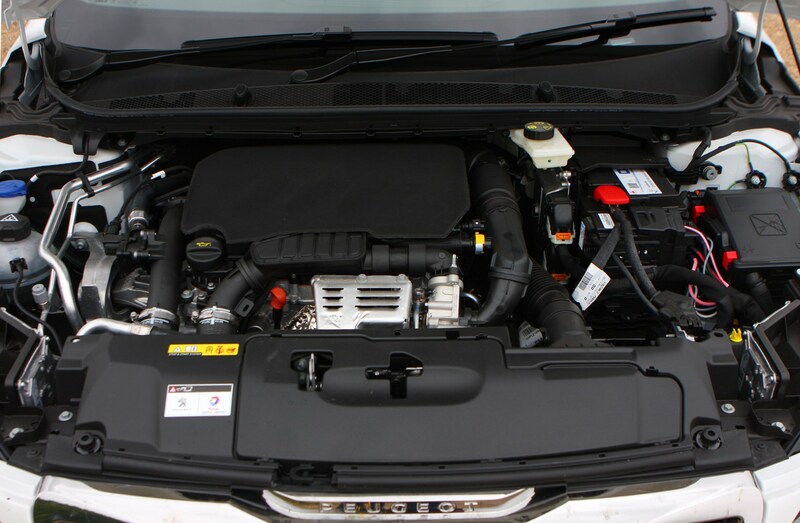 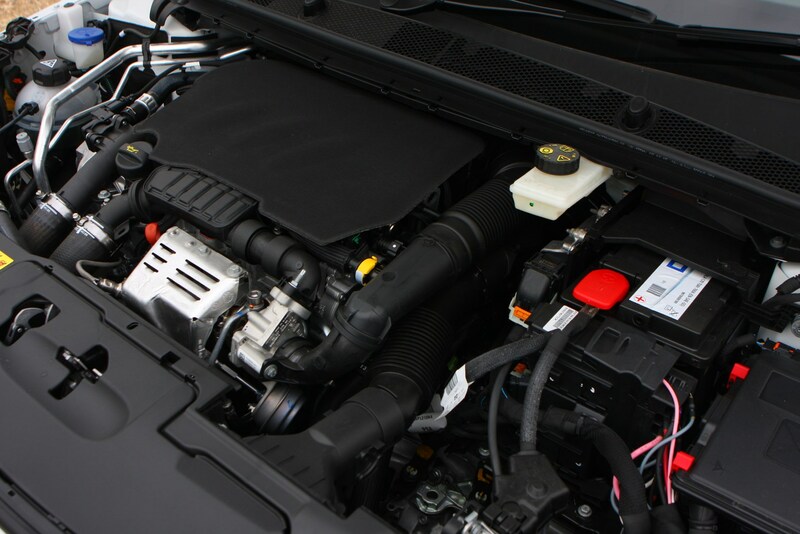 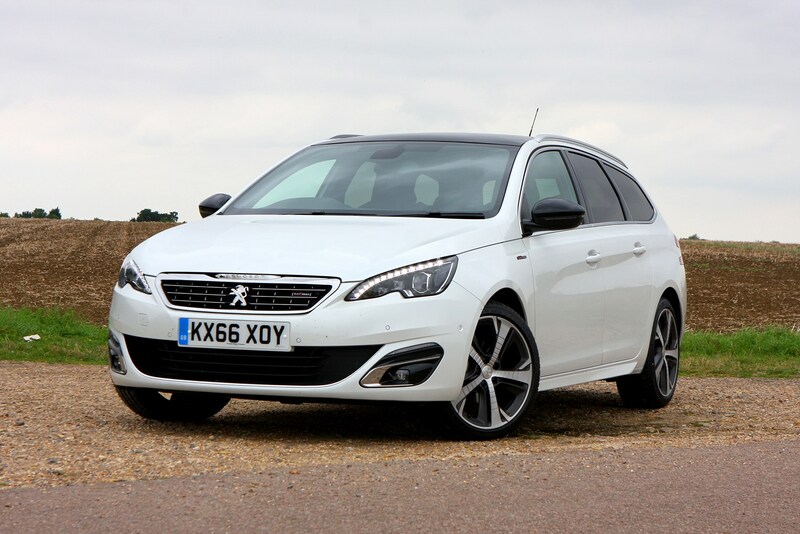 The 308 SW is the first Peugeot to feature the company’s new ‘PureTech’ three-cylinder turbo petrol engine. 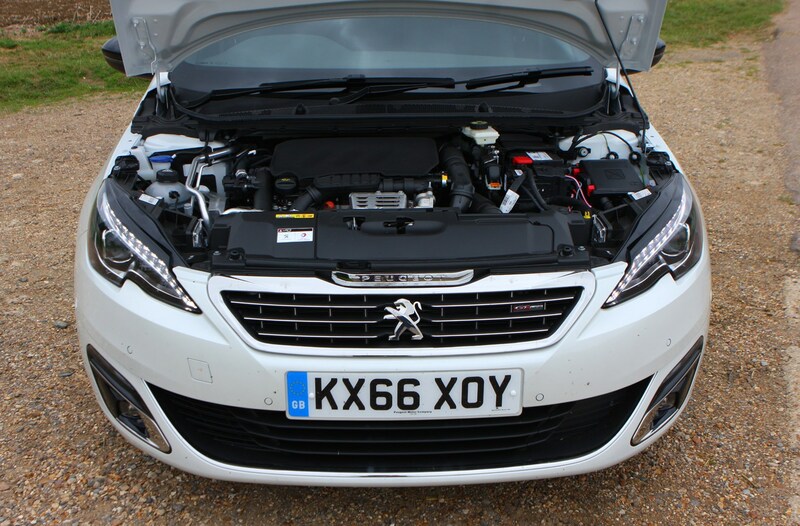 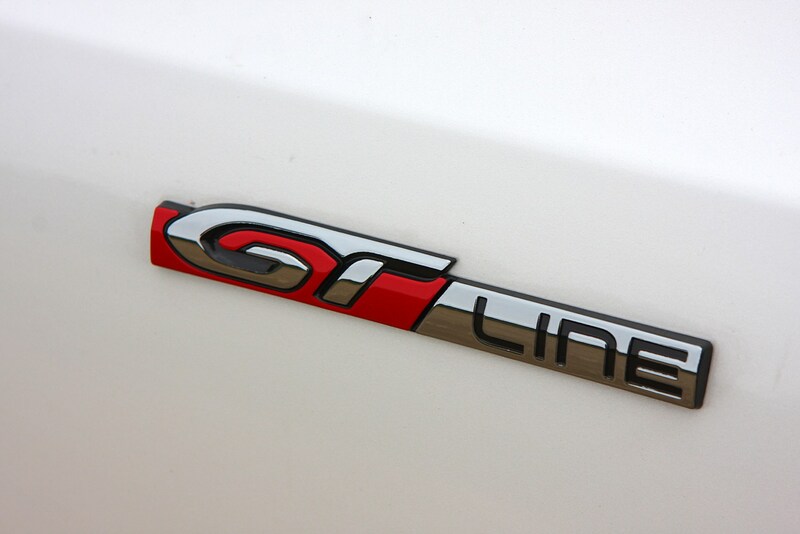 We tested the more powerful 128bhp version and found it to be a seriously impressive engine, with good performance for its size. 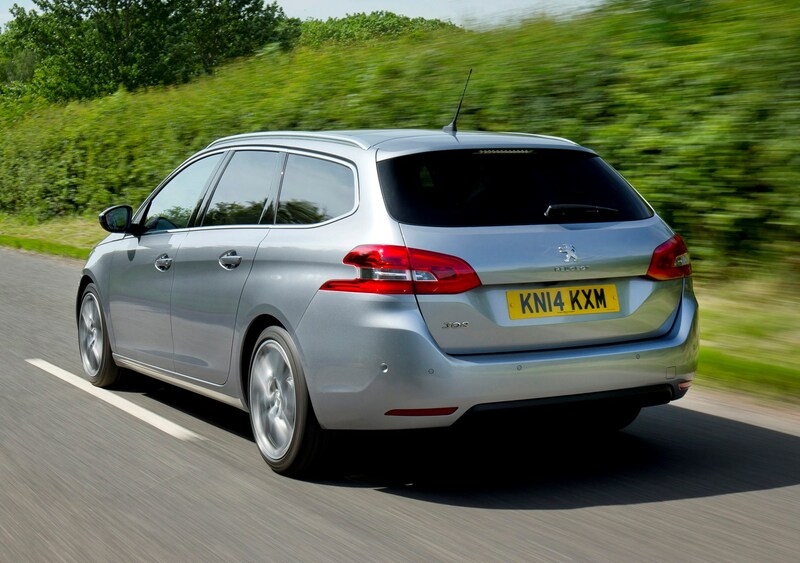 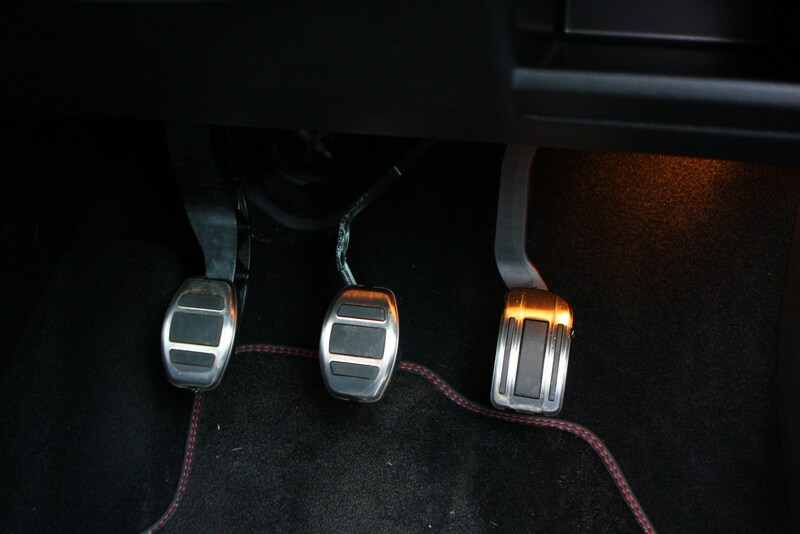 It’s far quieter and smoother than many three-cylinder engines and it’s more flexible than you might expect too. 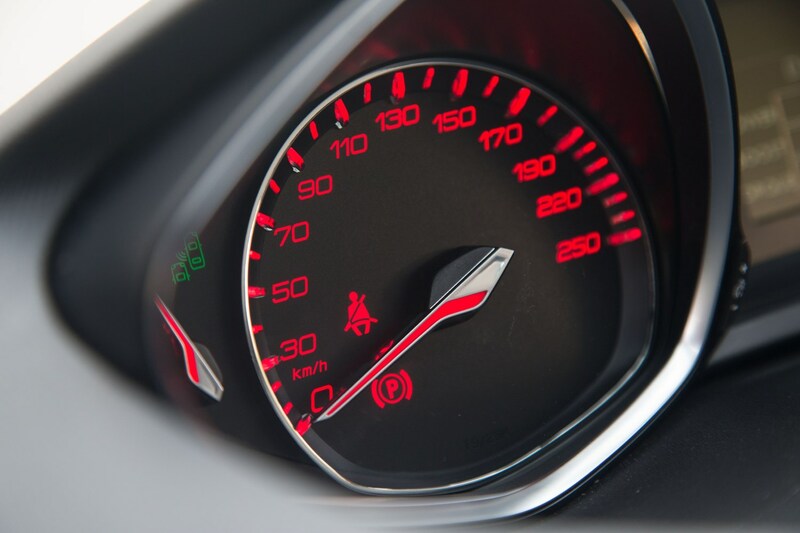 There’s a new range of low-emissions diesels too, the thriftiest of which offers fleet-friendly CO2 emissions as low as 85g/km and claimed average fuel consumption of 88mpg – both seriously impressive figures. 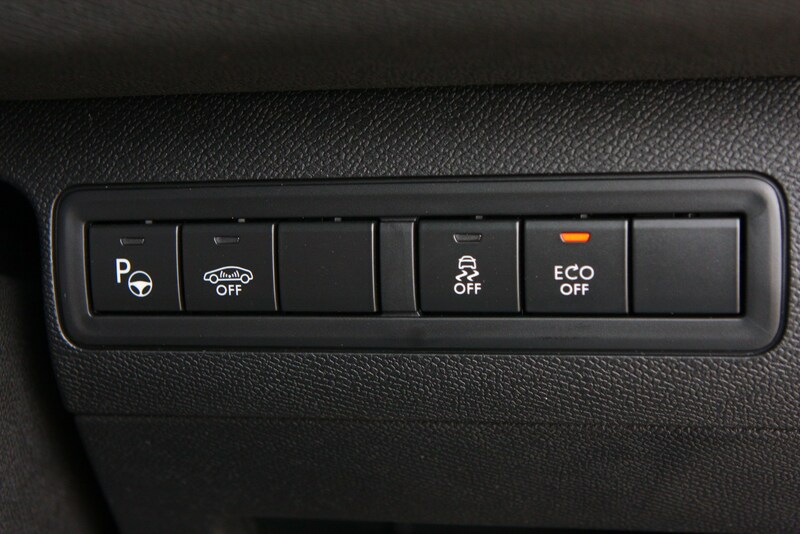 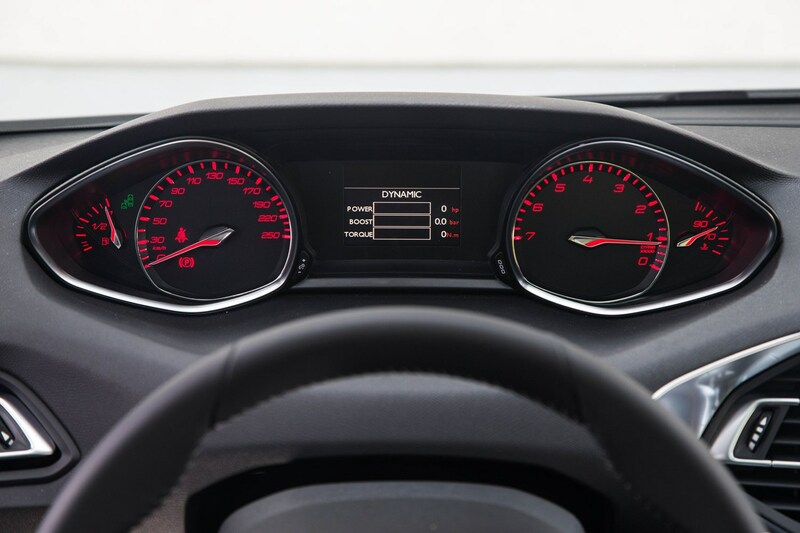 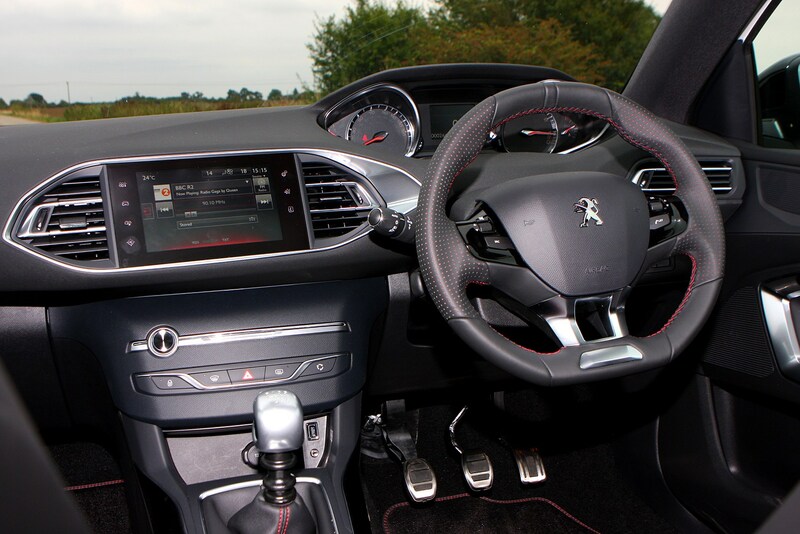 Like the hatchback, there’s a strikingly tiny steering wheel and raised instrument cluster while a large touchscreen takes care of most of the controls (apart from on the entry-level model which gets conventional buttons and dials). 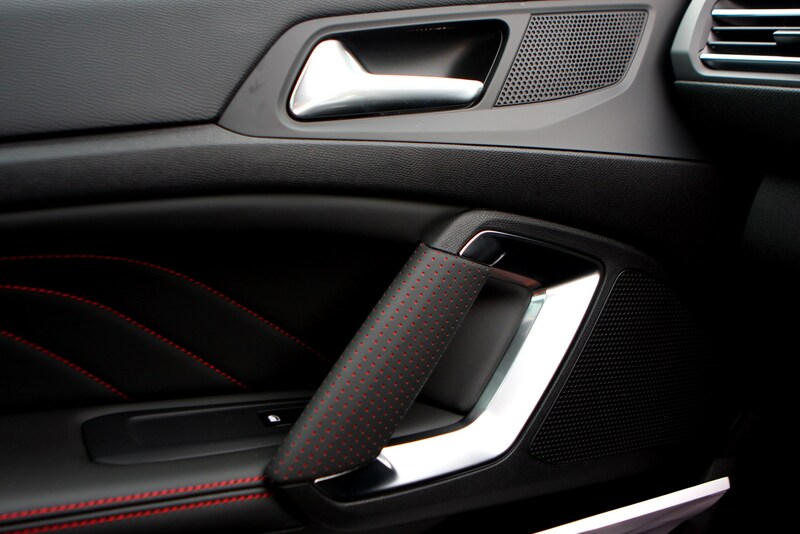 That makes for a clean, minimalist interior and it’s a very nice place to be, with high-quality materials and impressive fit and finish. 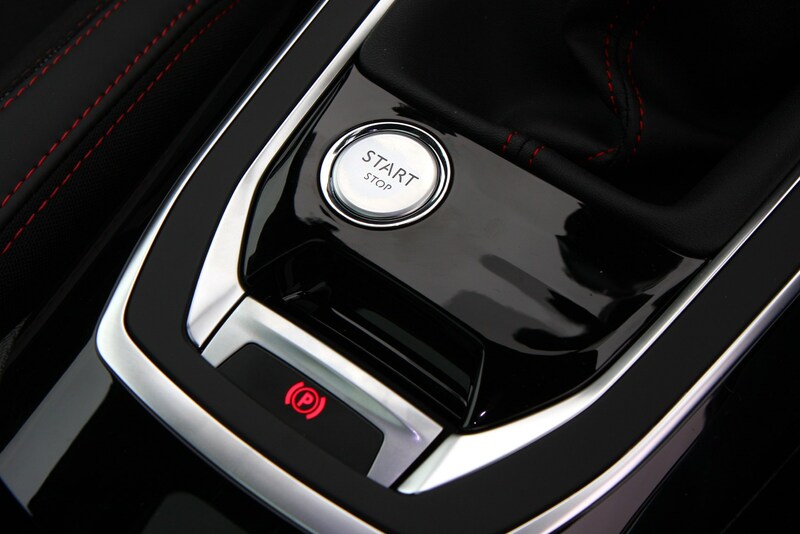 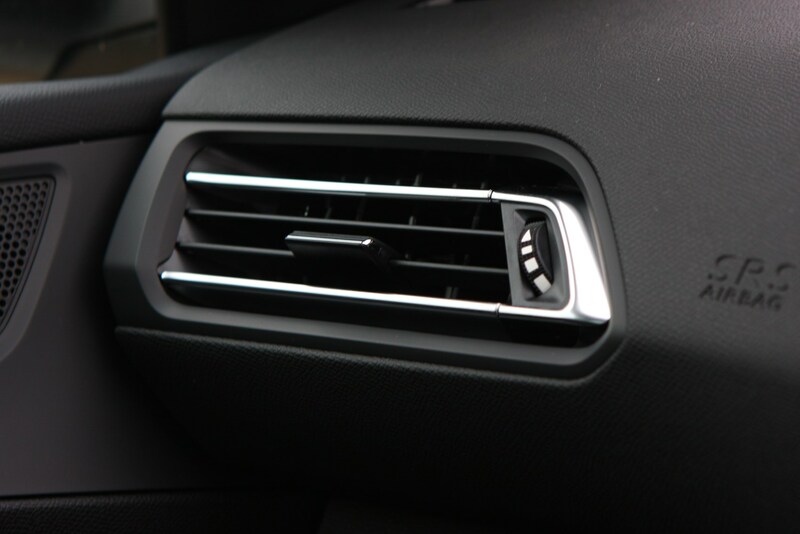 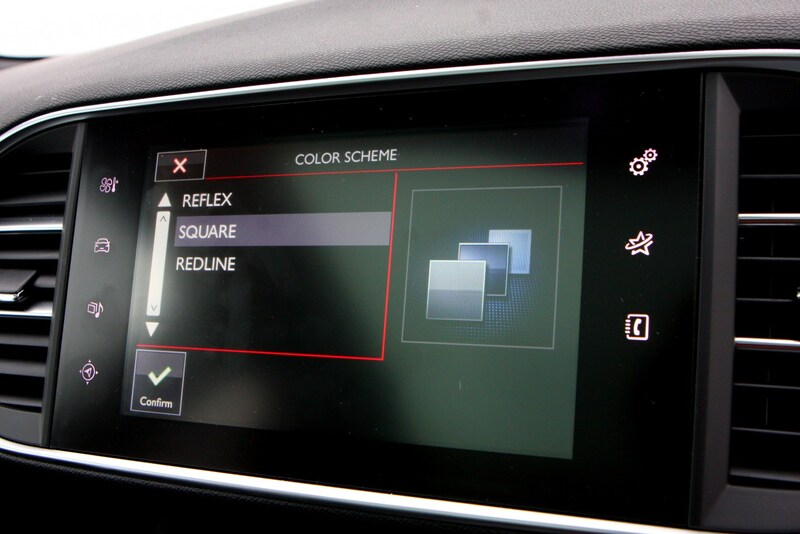 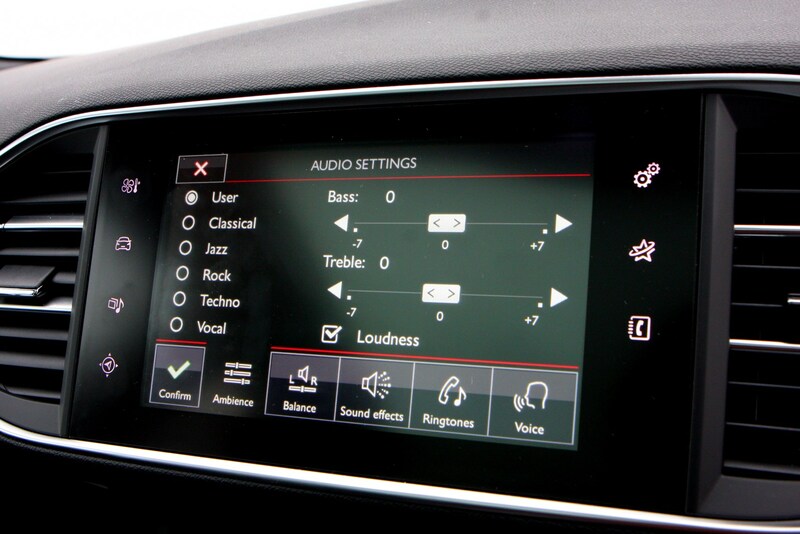 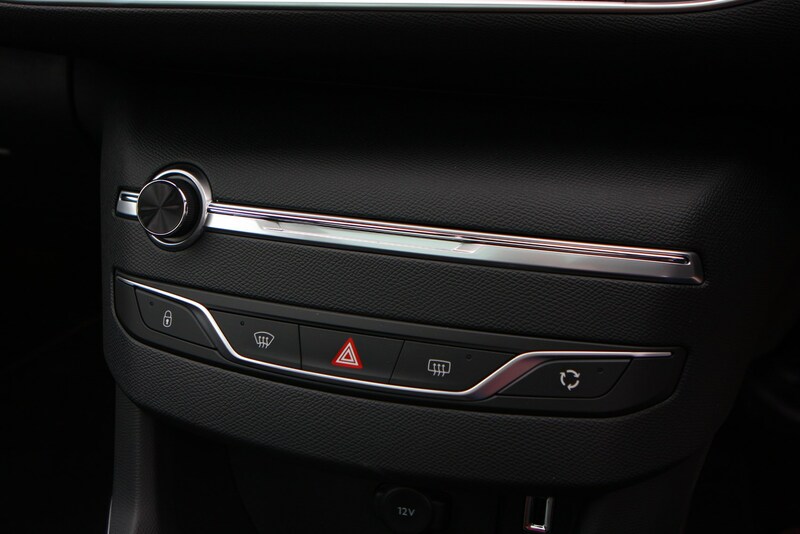 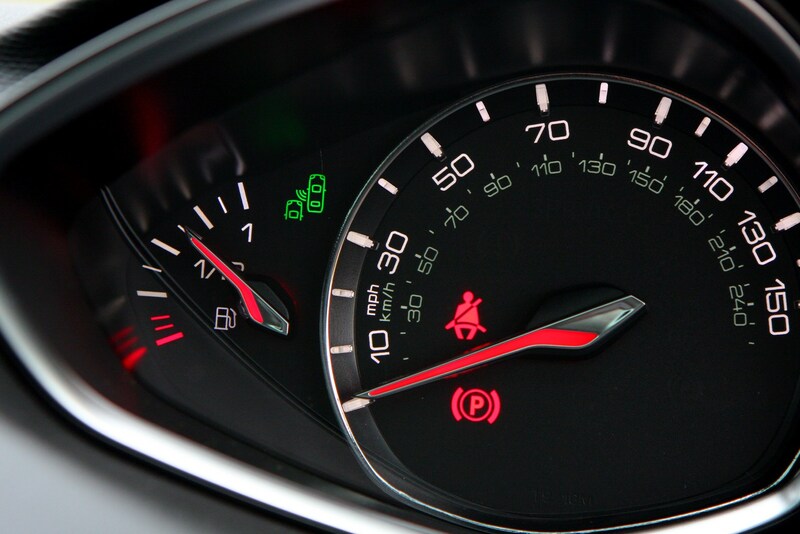 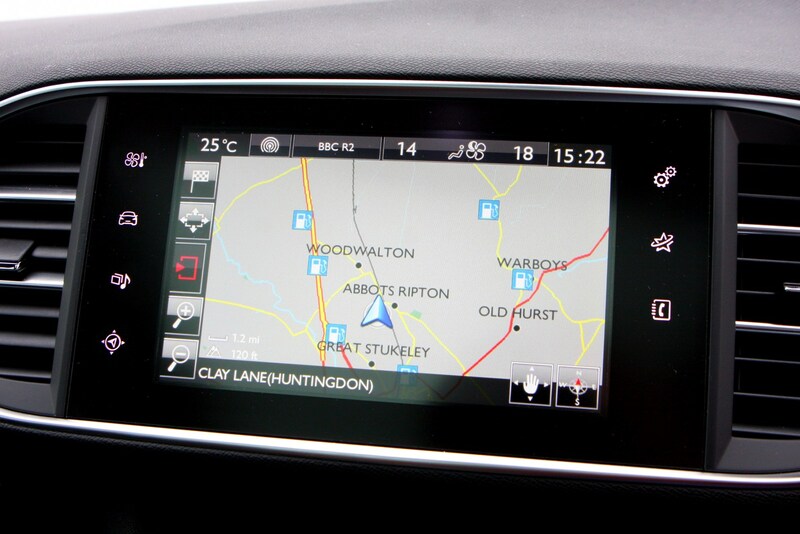 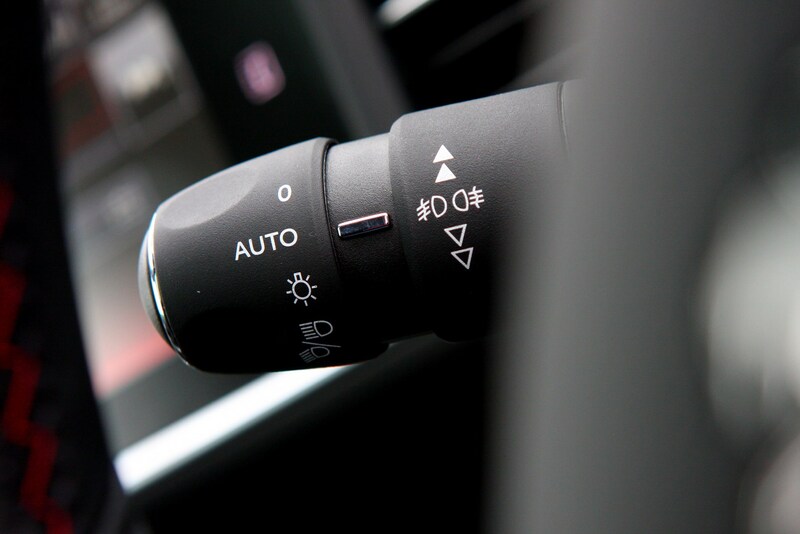 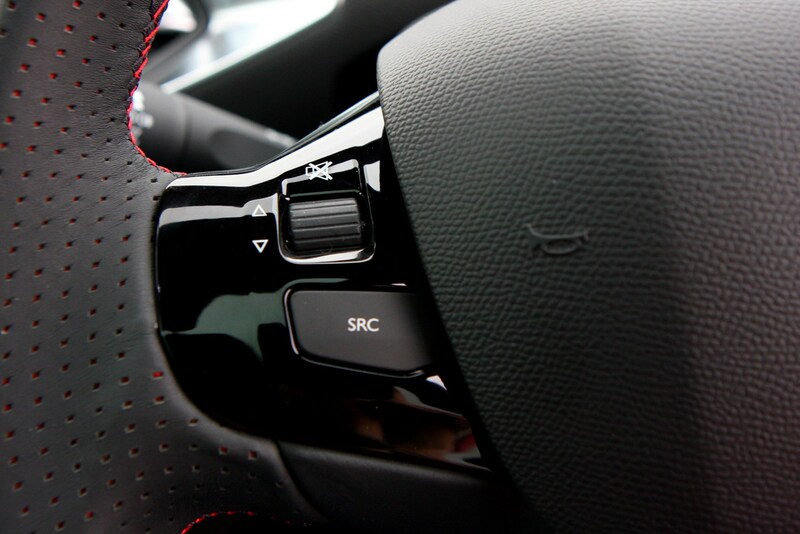 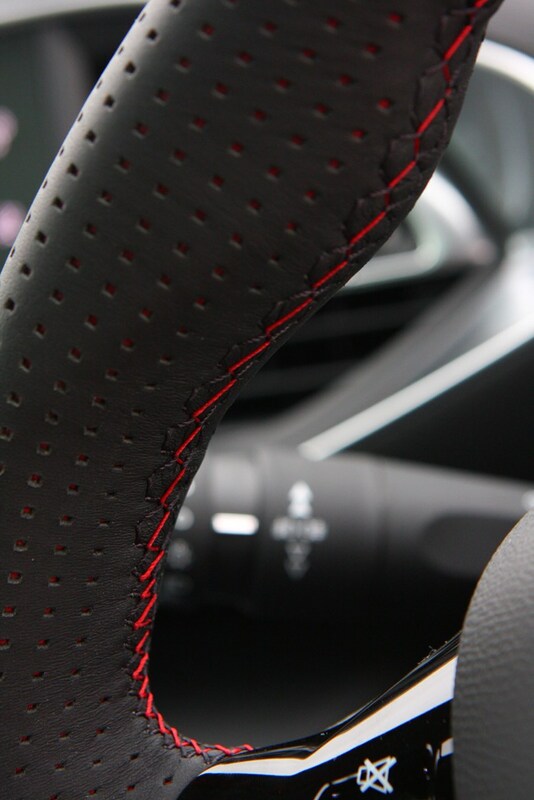 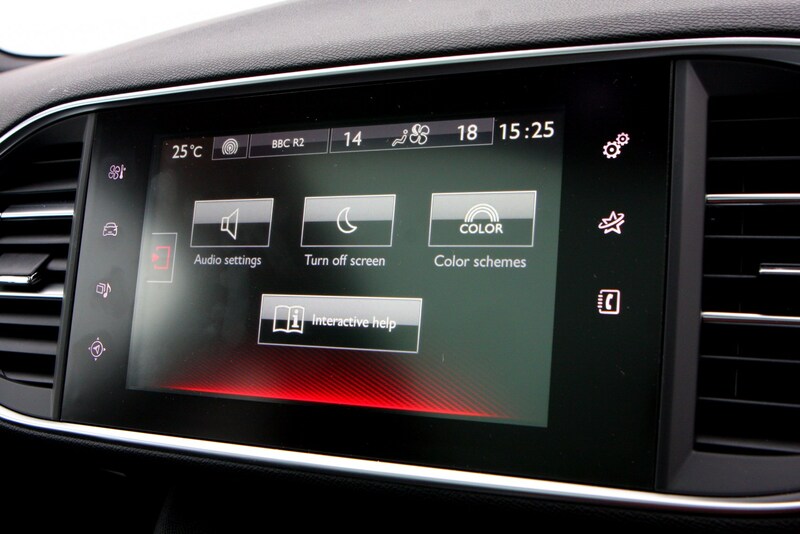 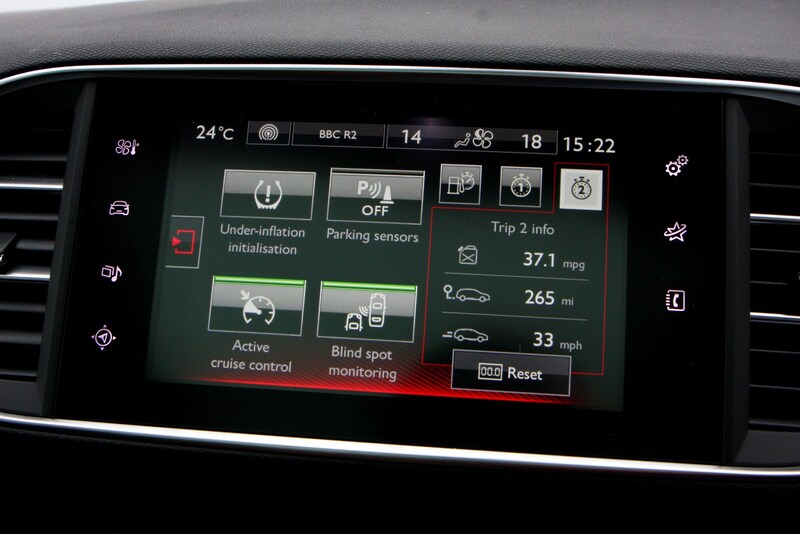 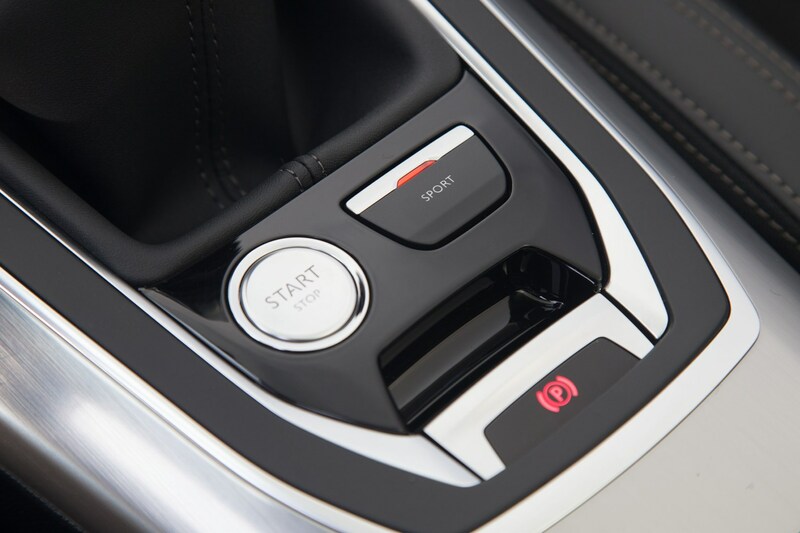 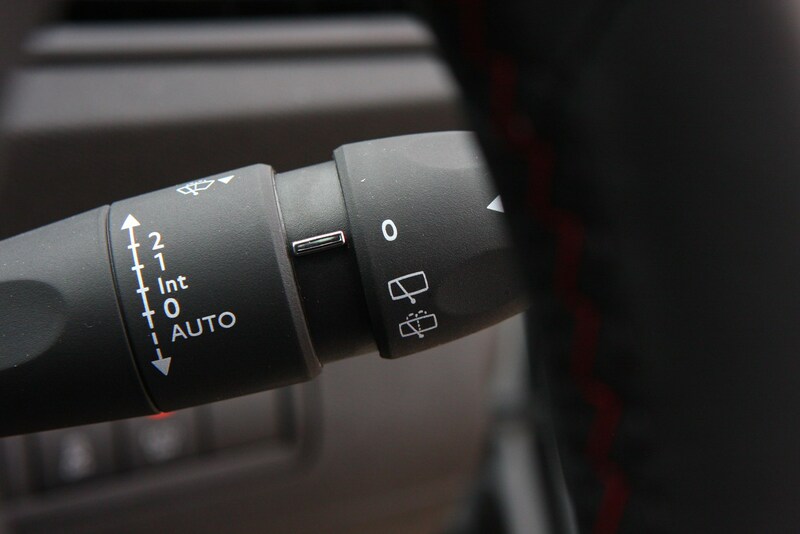 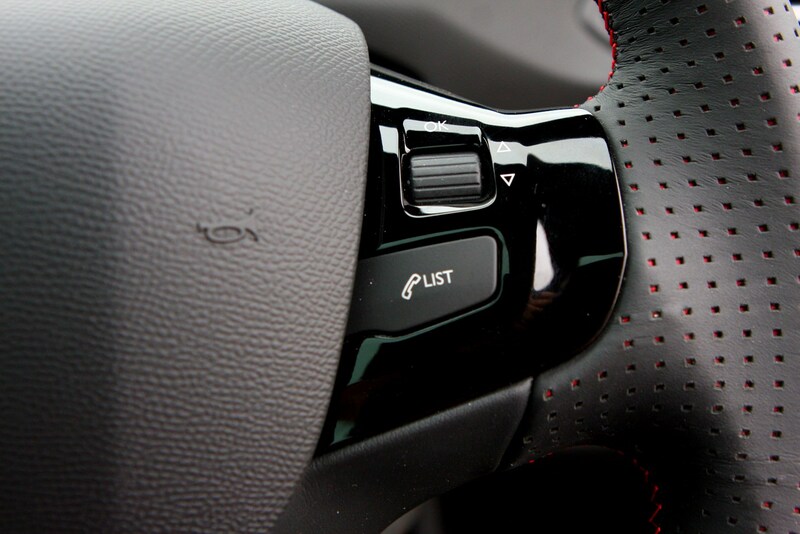 Some users may find using touchscreen interface while driving a fiddly and distracting task, though – you need to be firm and accurate to hit the function you’re after. 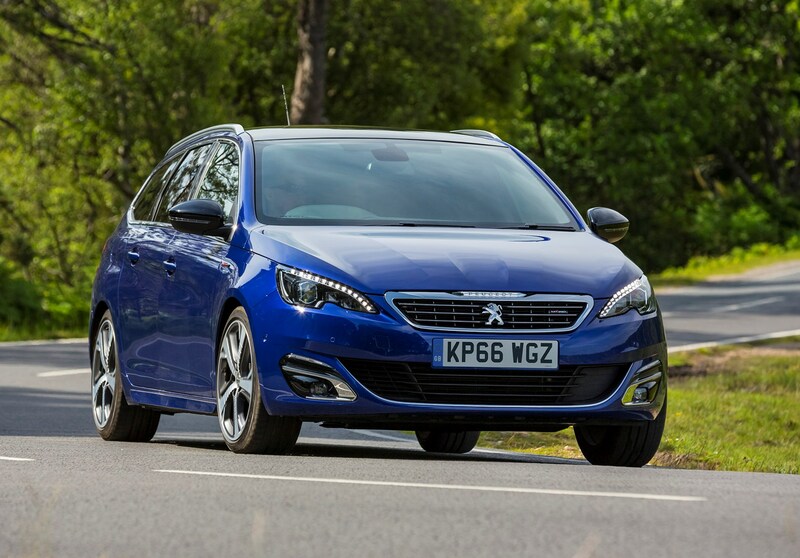 There’s no shortage of competitors for the 308 SW. 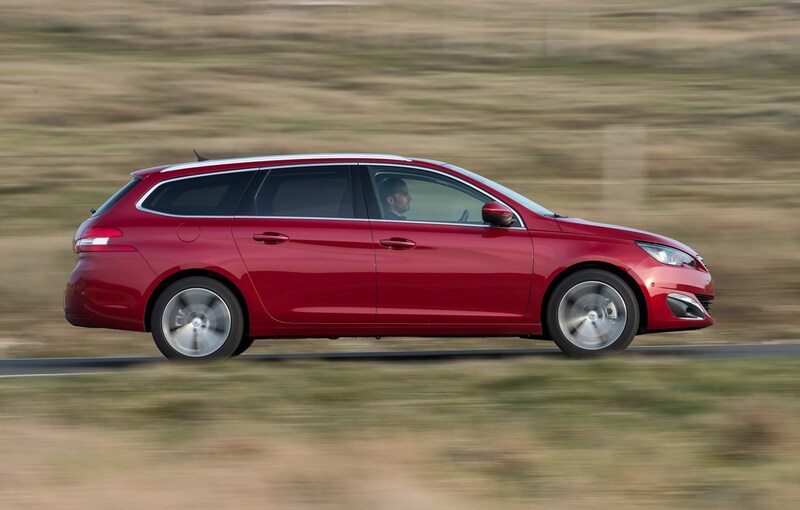 The VW Golf Estate, SEAT Leon ST, Skoda Octavia Estate, Honda Civic Tourer and Ford Focus Estate all have plenty to recommend them. 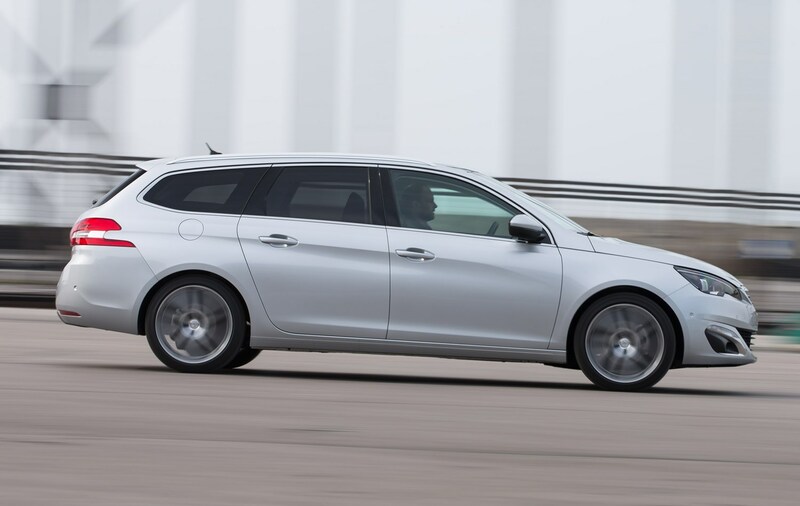 The 308 SW can hold its head up high against them – it’s competitively priced, has impressive luggage volume figures and the new engines are excellent. 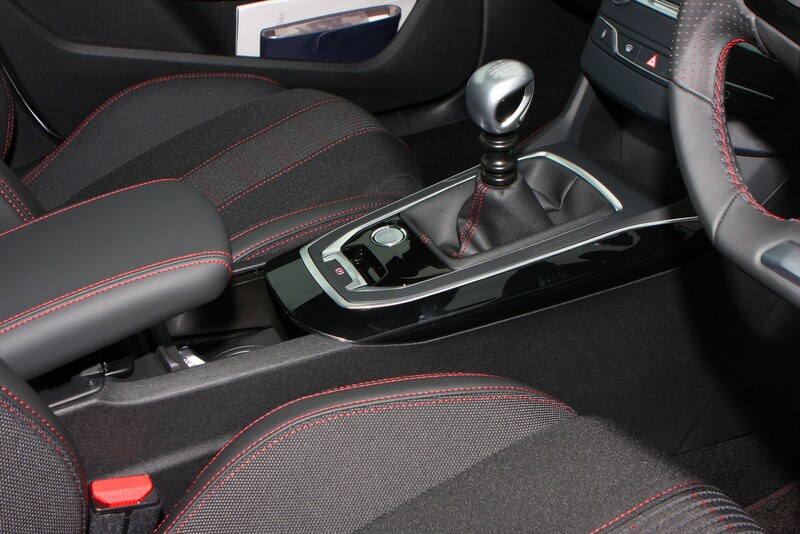 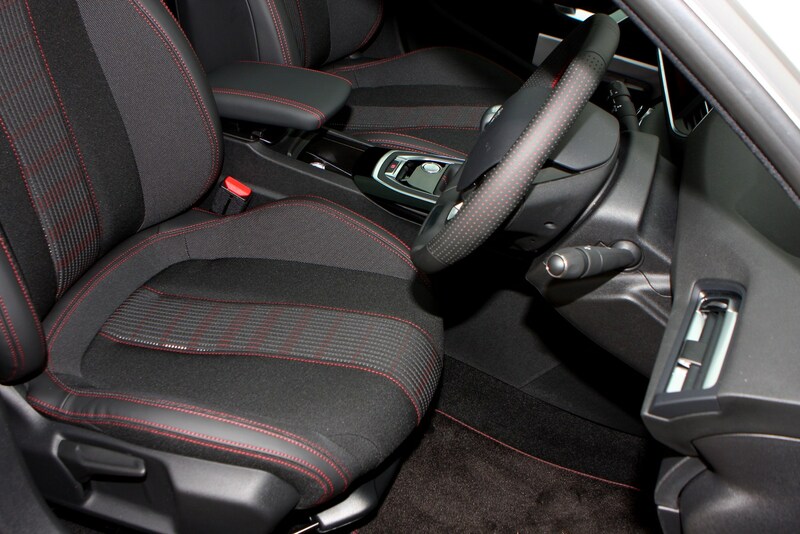 With its smart, unusual interior it has a little more character than most of its rivals, too. 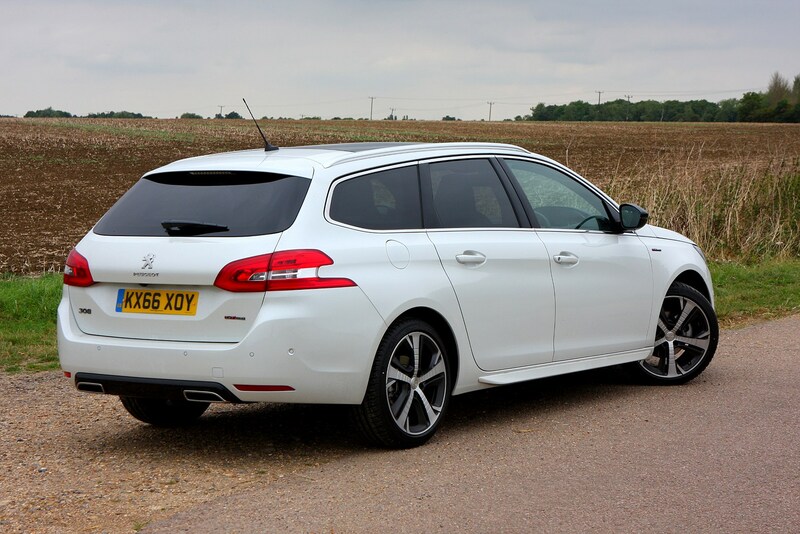 Promising the distilled essence of the 308 GT’s sporty nature, the GT Line trim replaced Feline and included 18-inch wheels, twin exhausts and a black rear diffusers. 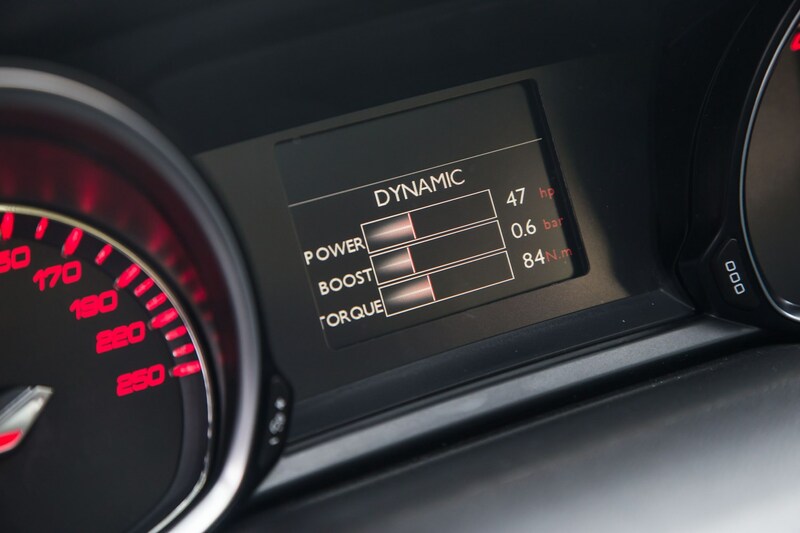 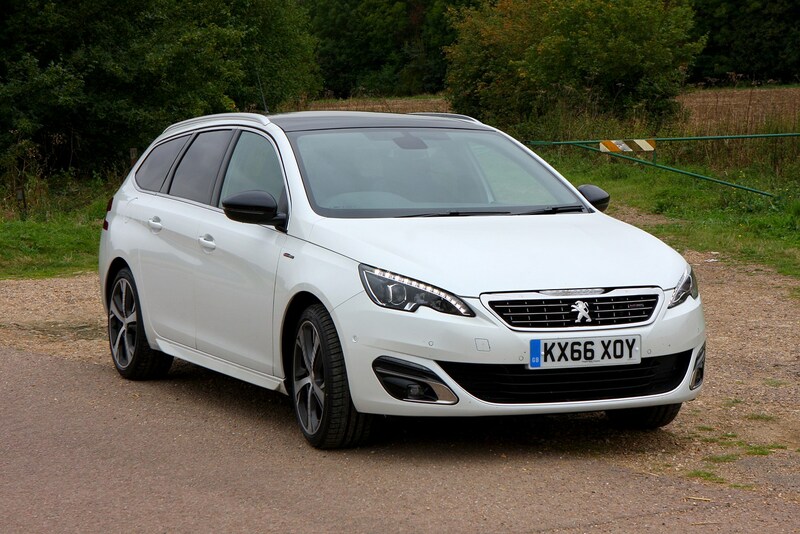 To find out more, click on the headings at the top of the page or the ratings below to navigate through the full Peugeot 308 SW review. 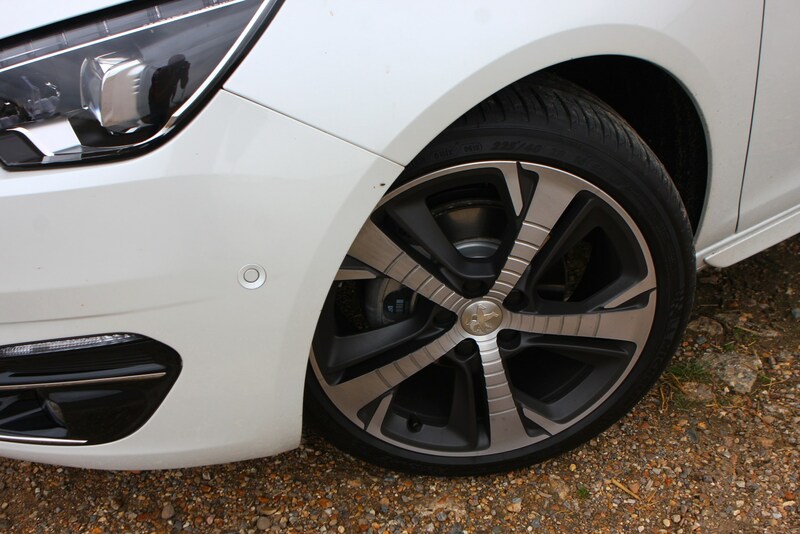 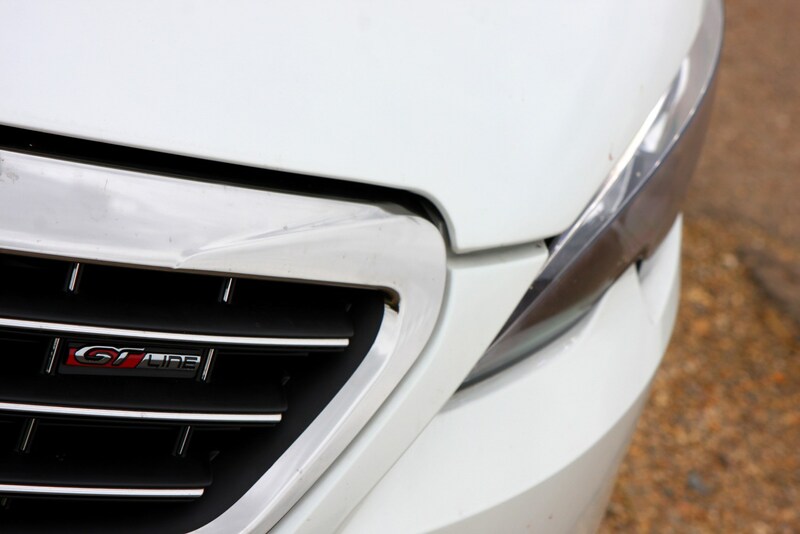 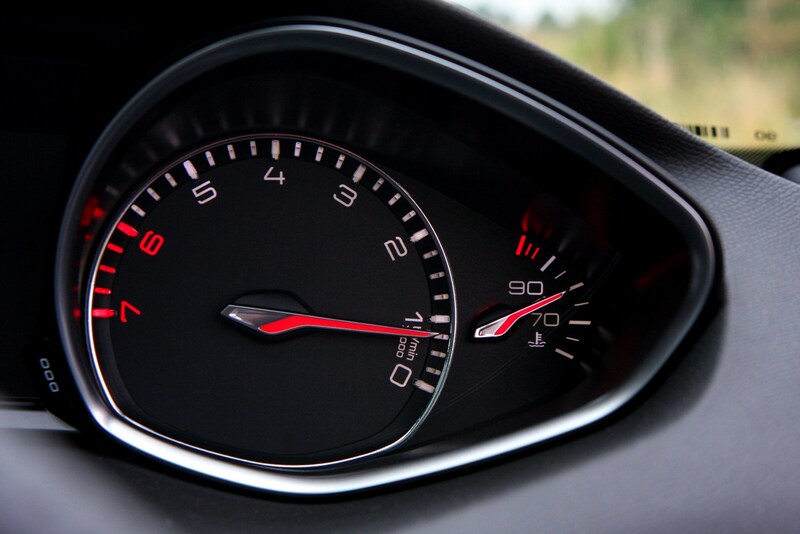 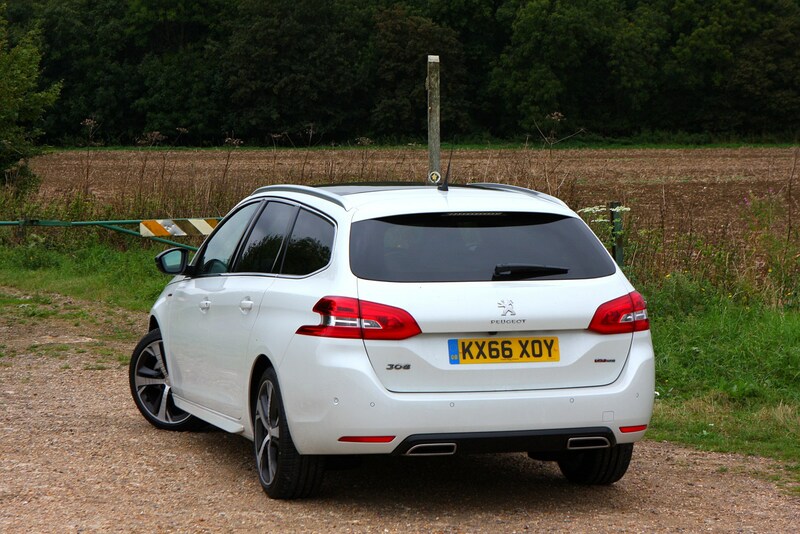 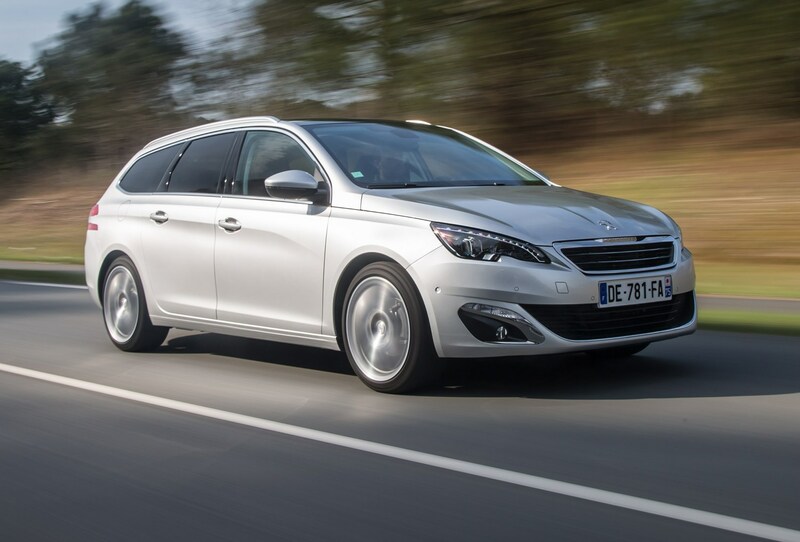 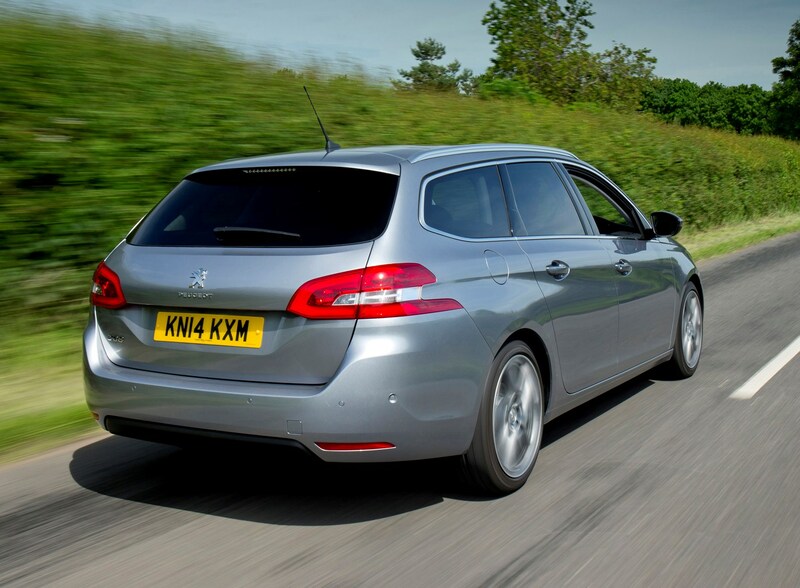 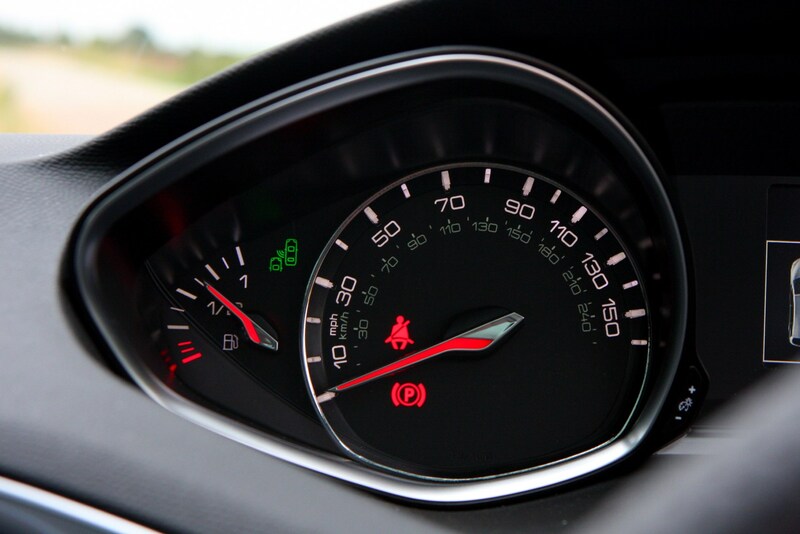 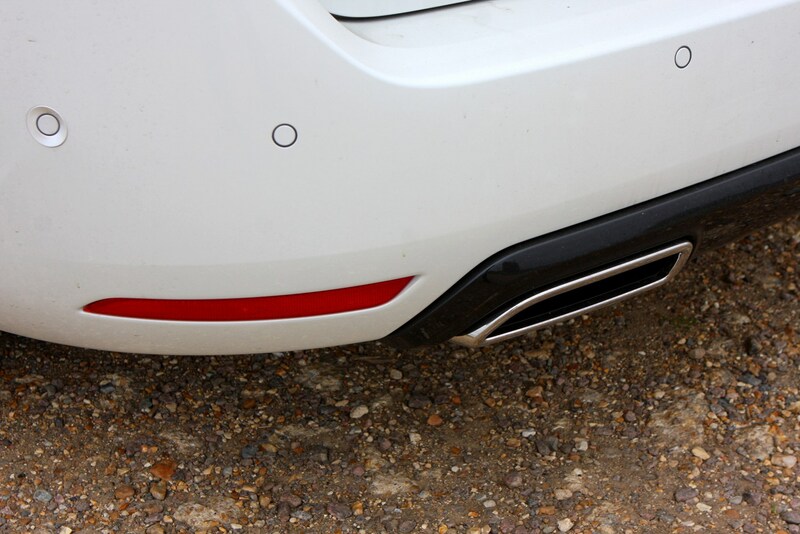 Peugeot 308 SW: Diesel do nicely? 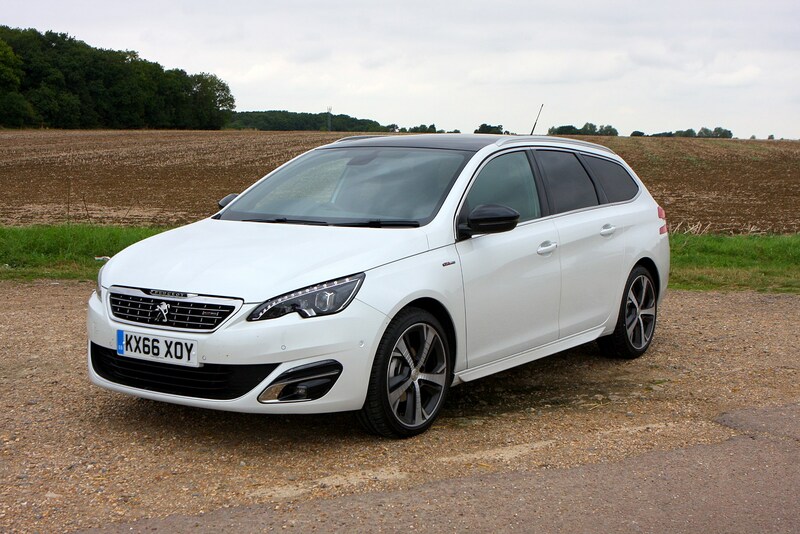 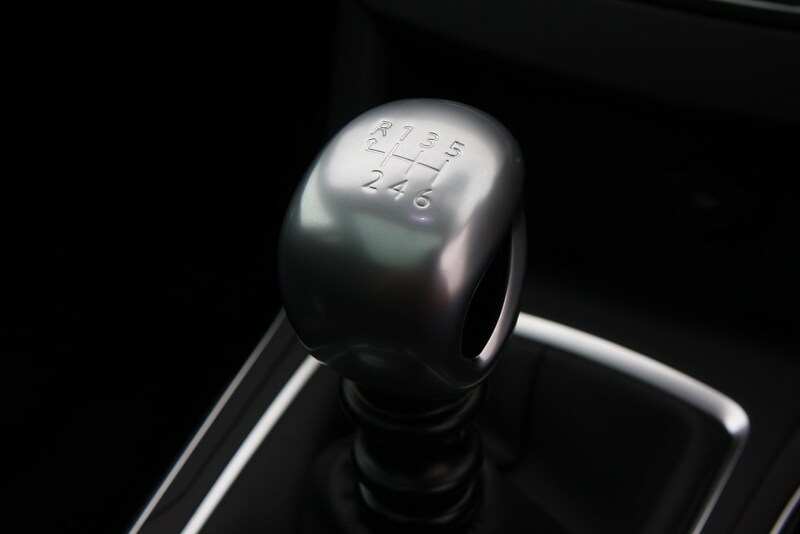 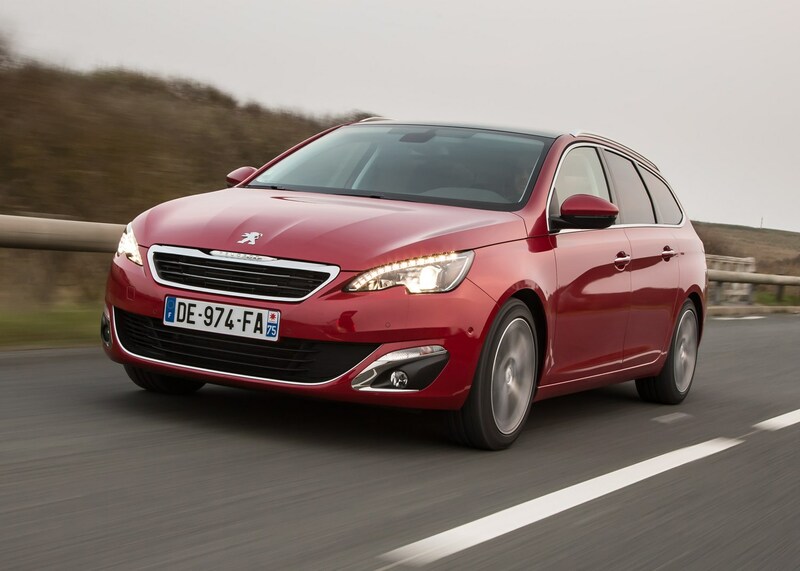 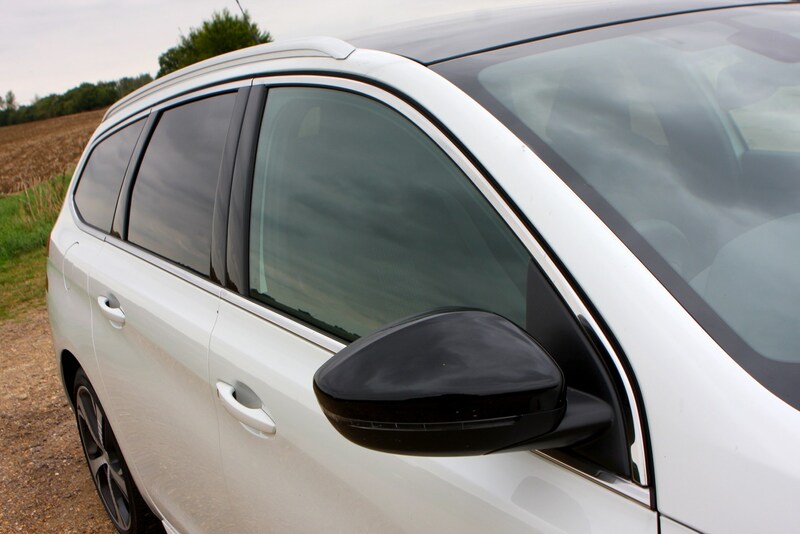 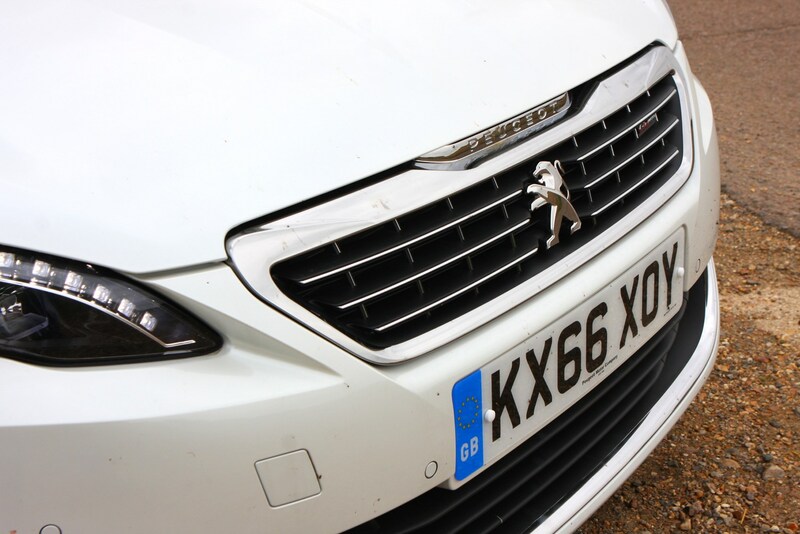 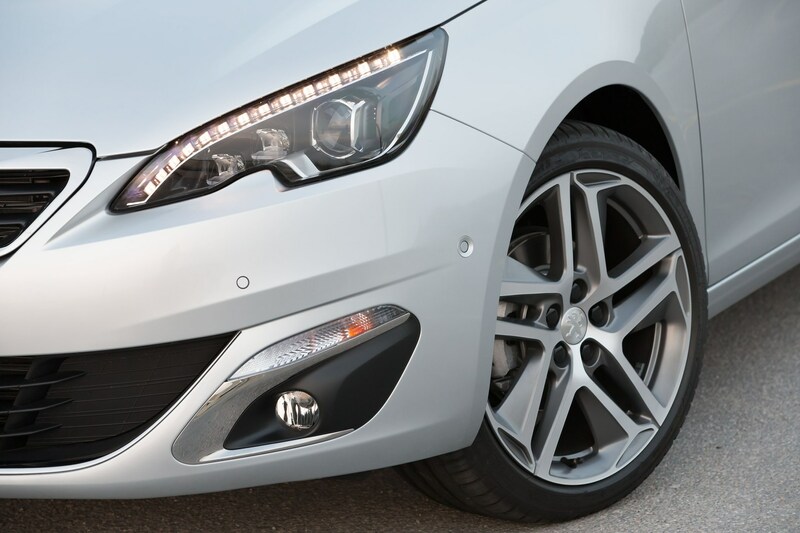 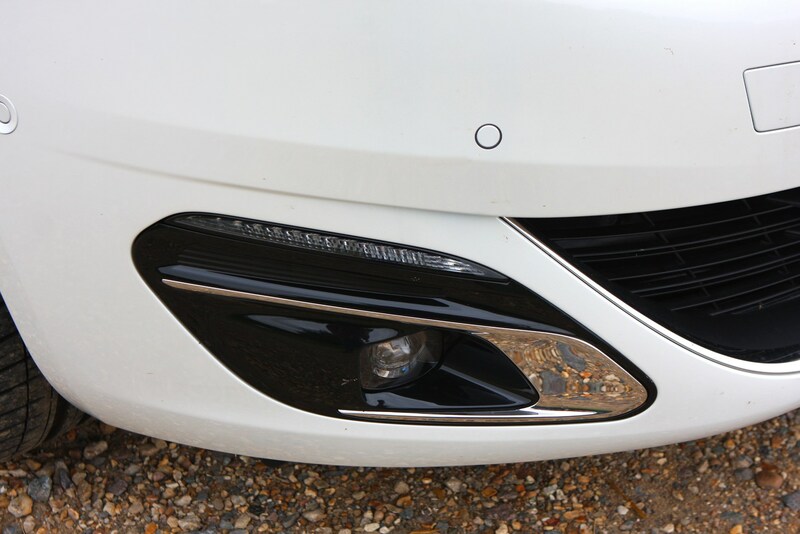 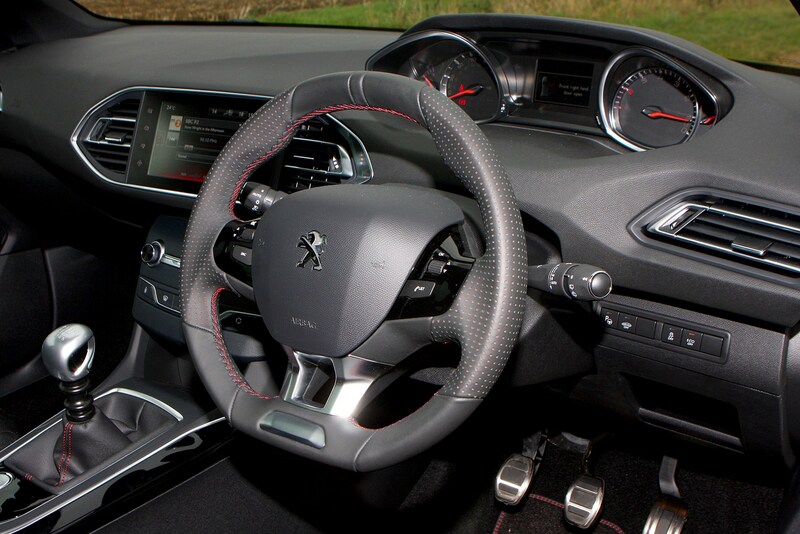 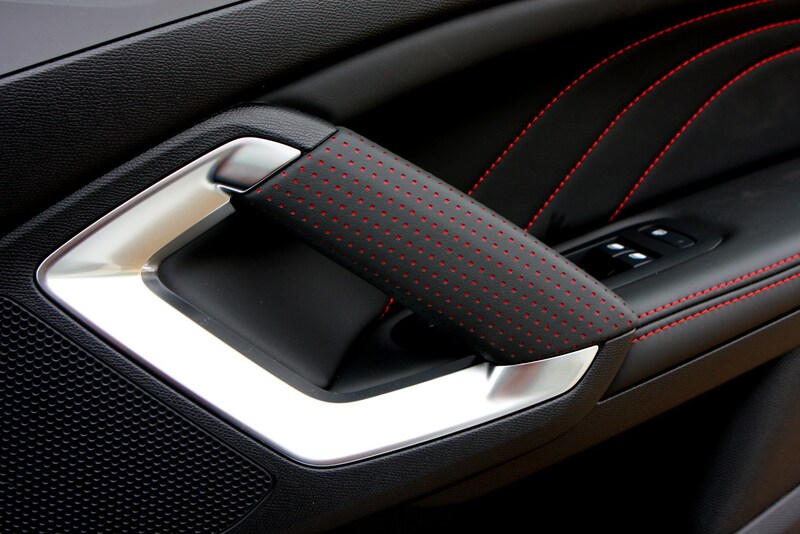 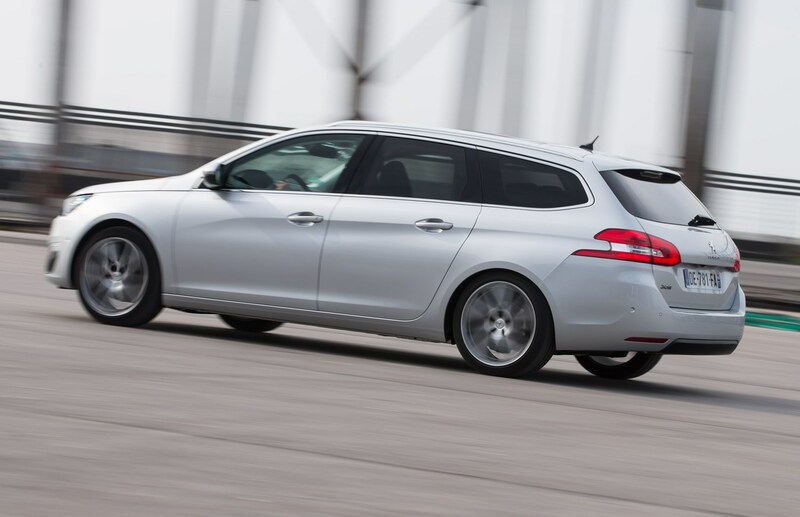 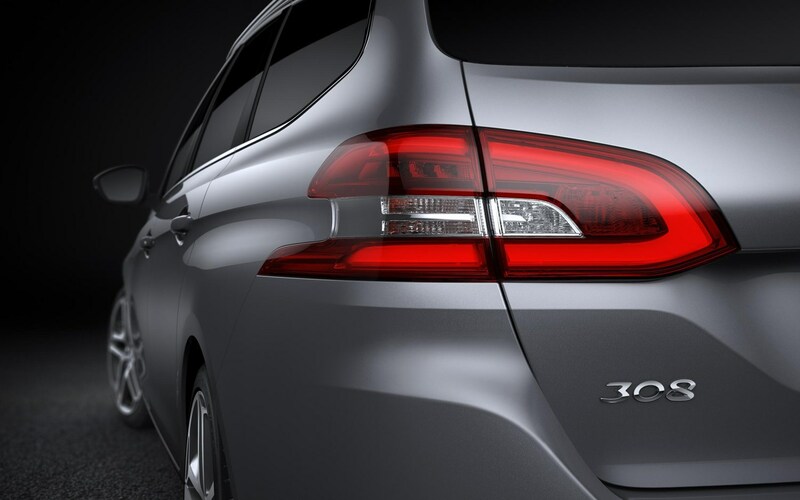 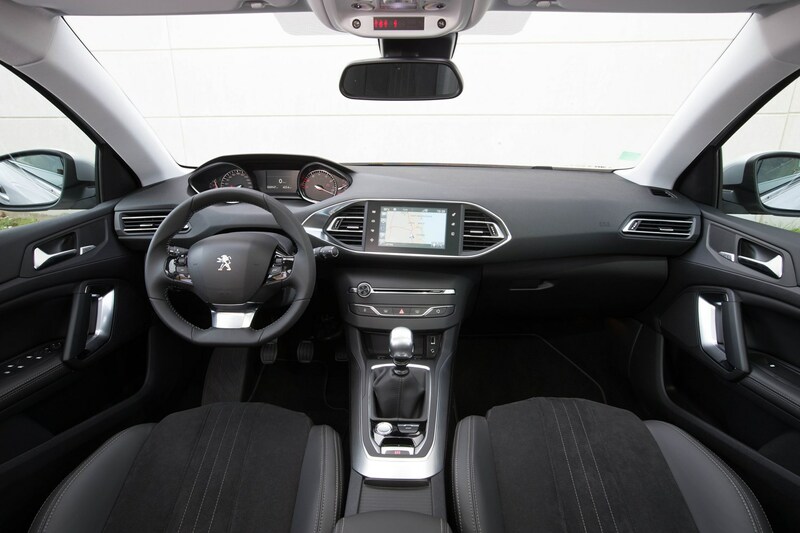 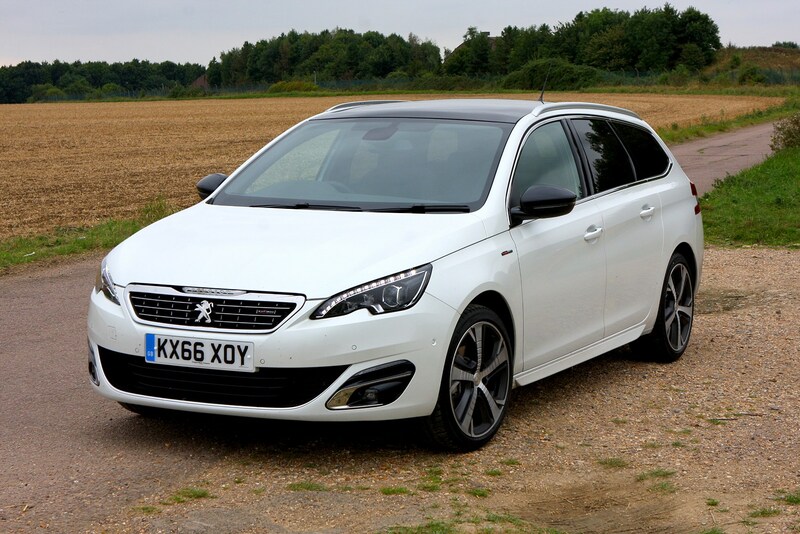 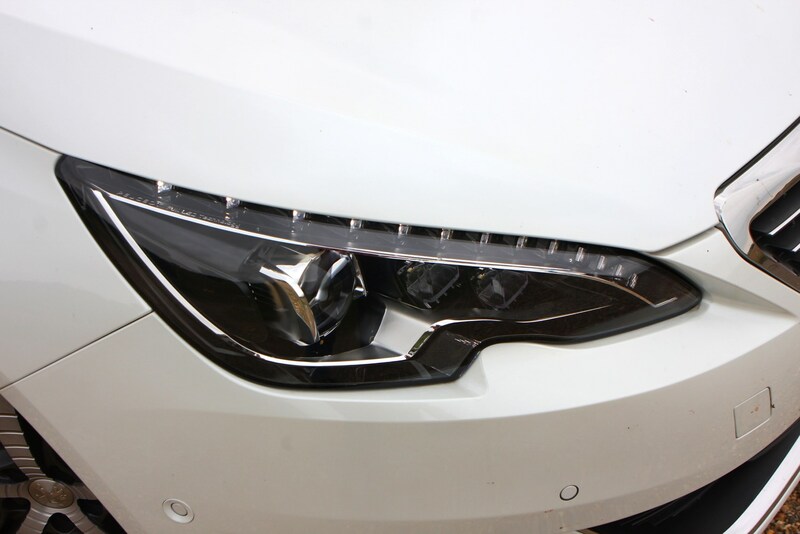 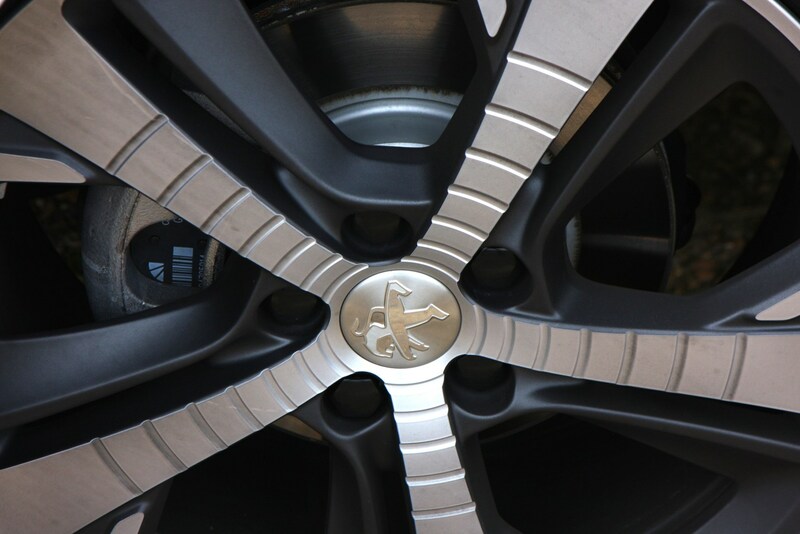 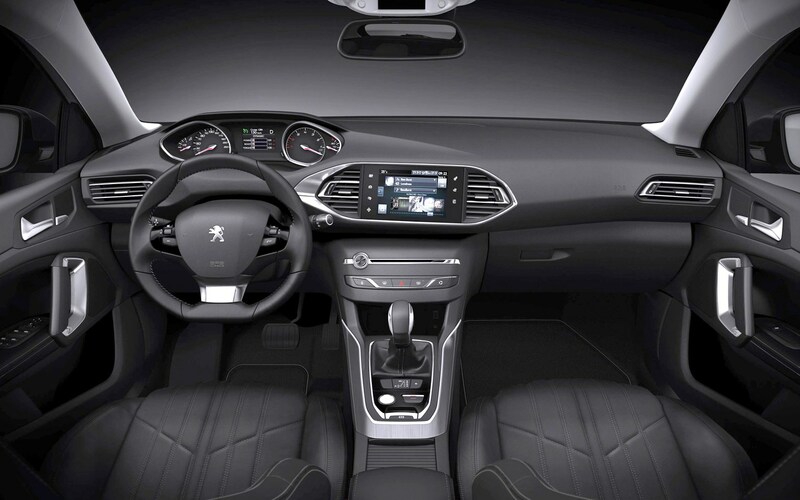 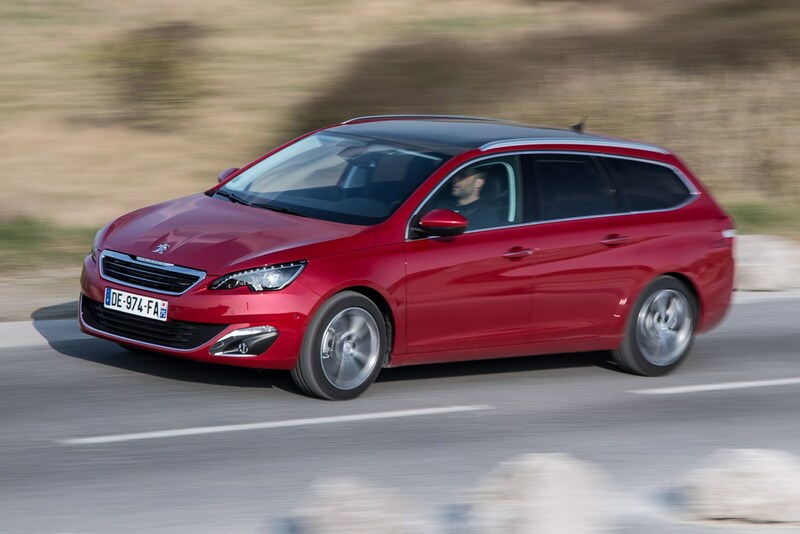 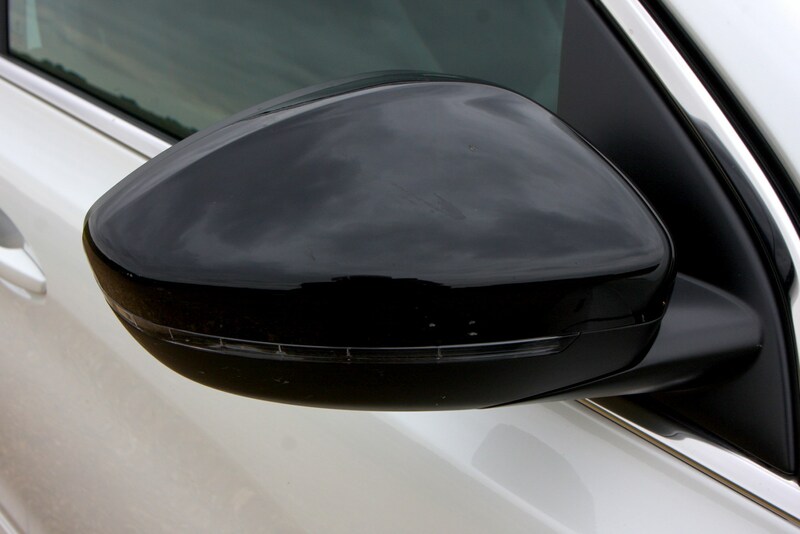 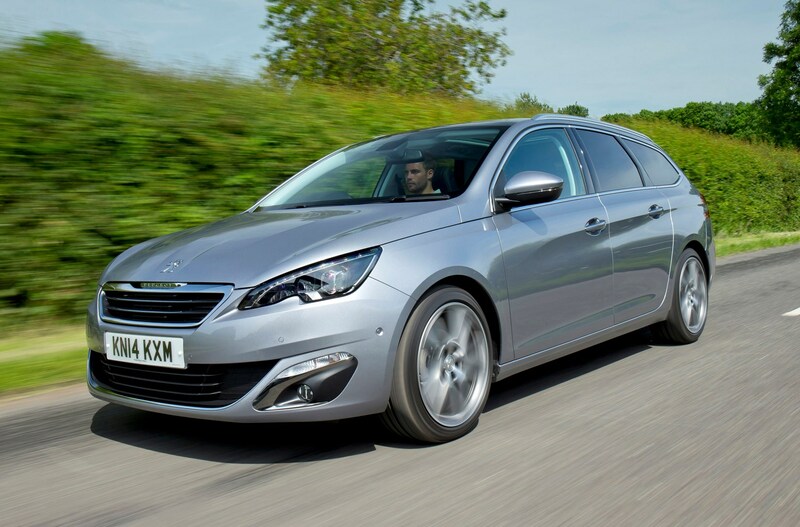 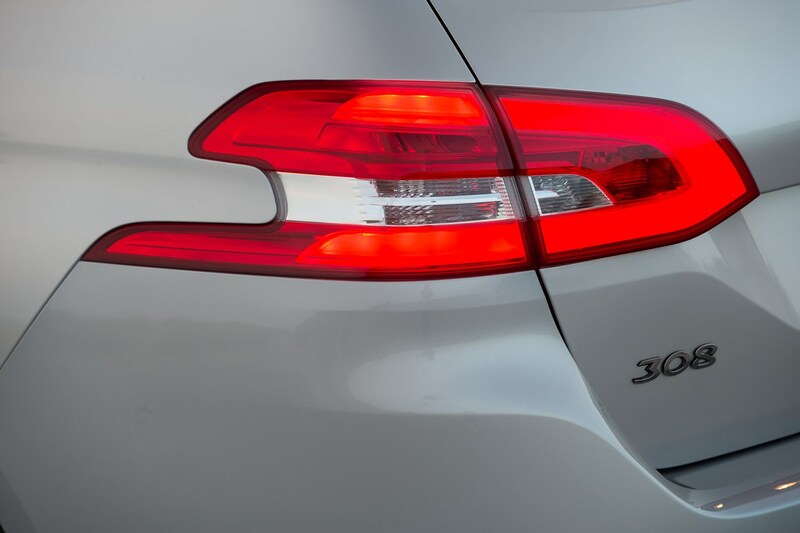 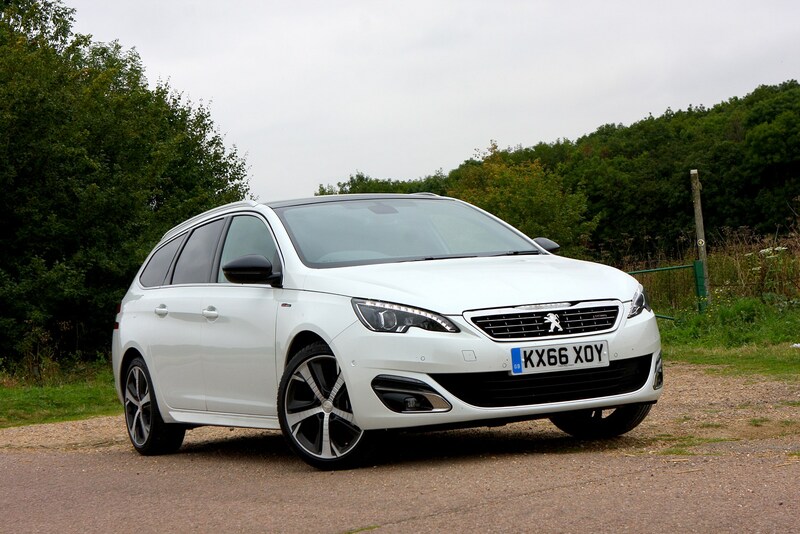 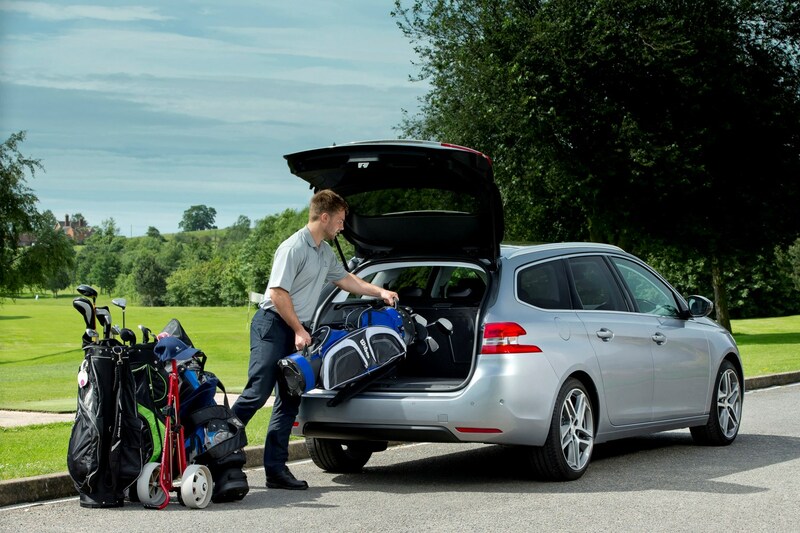 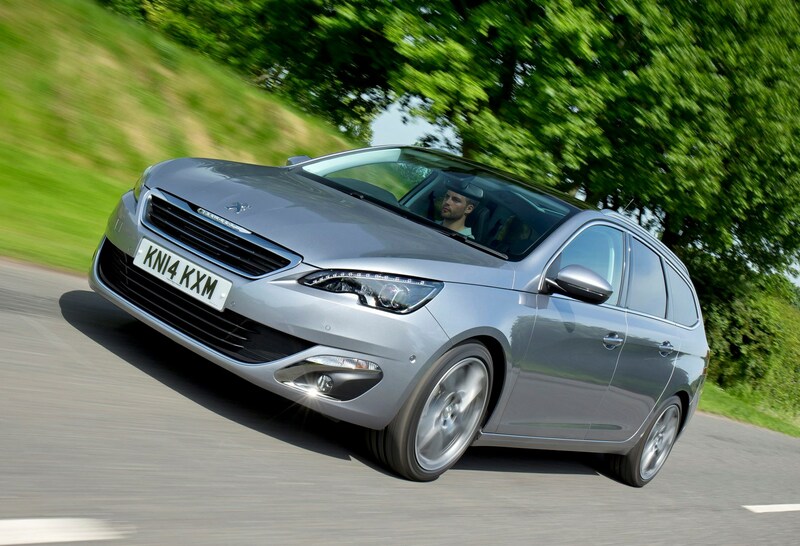 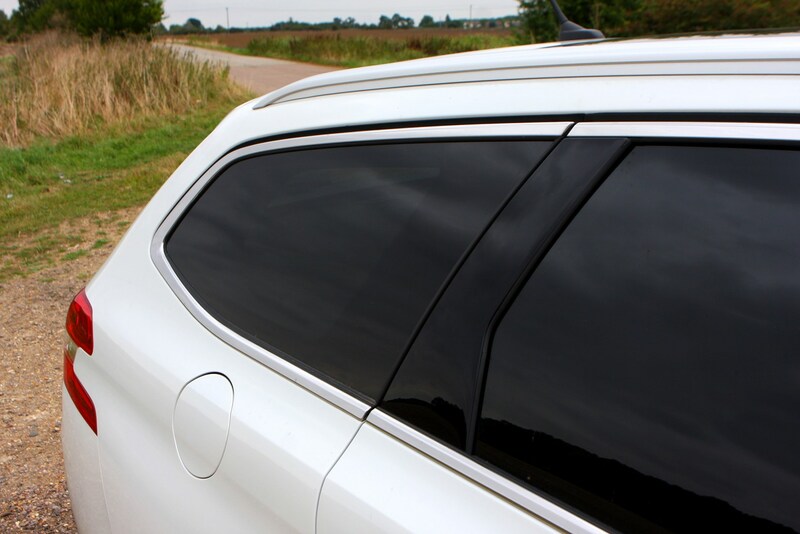 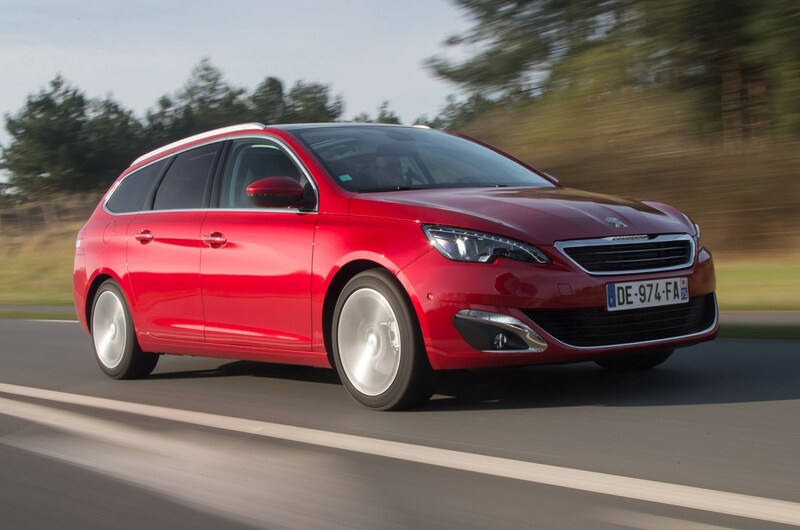 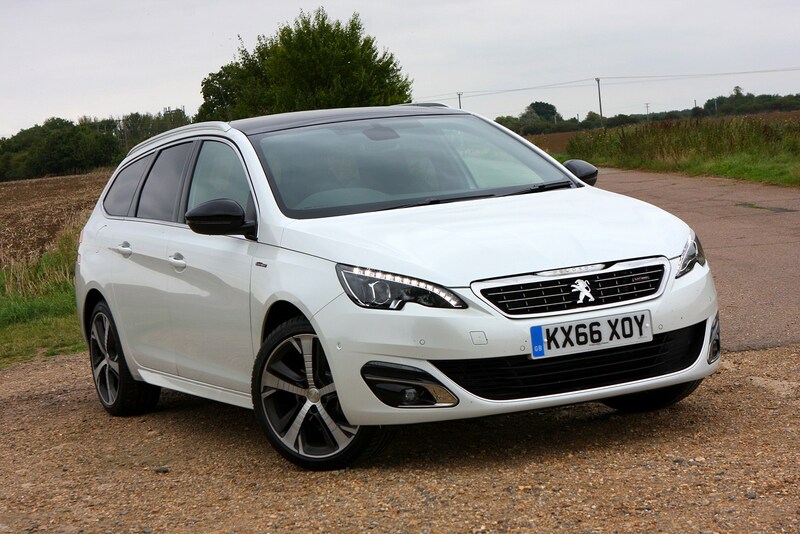 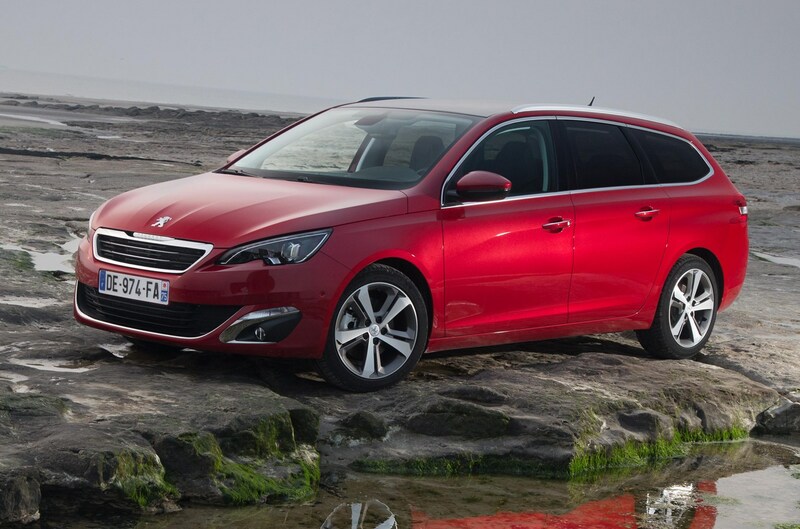 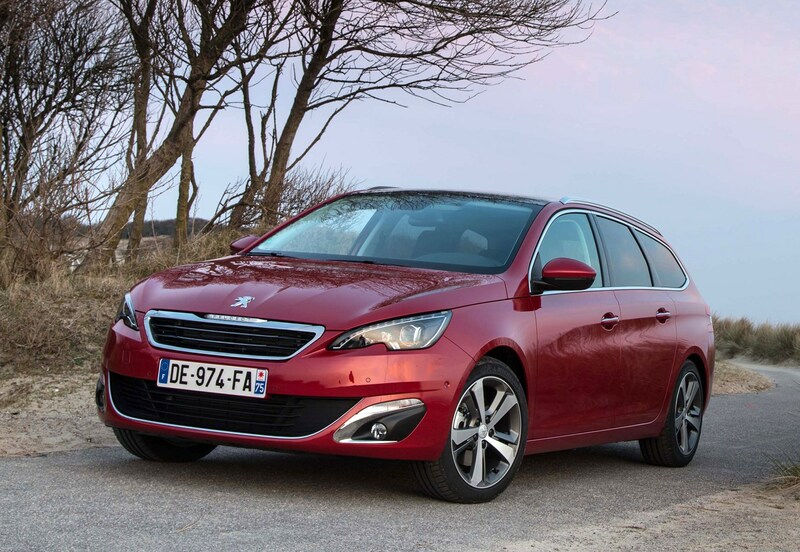 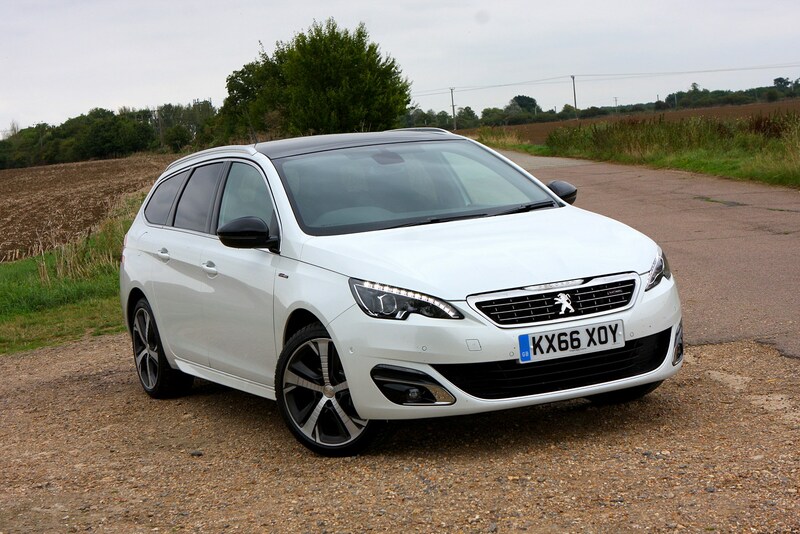 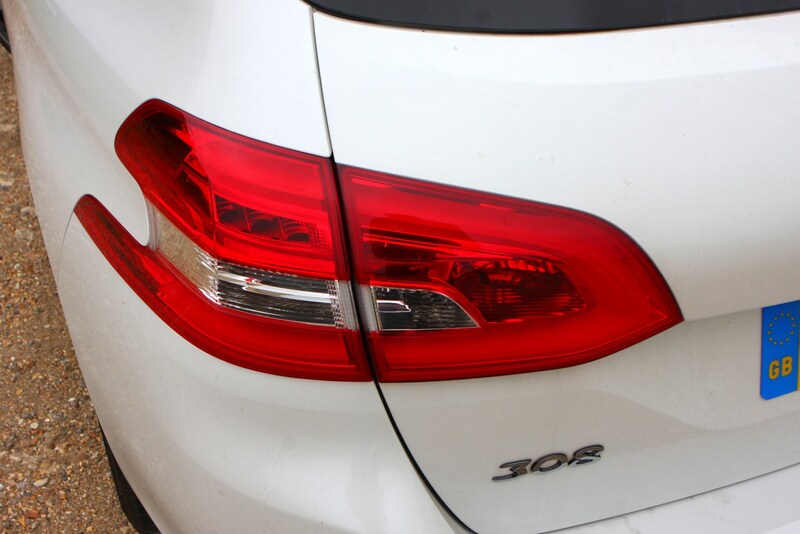 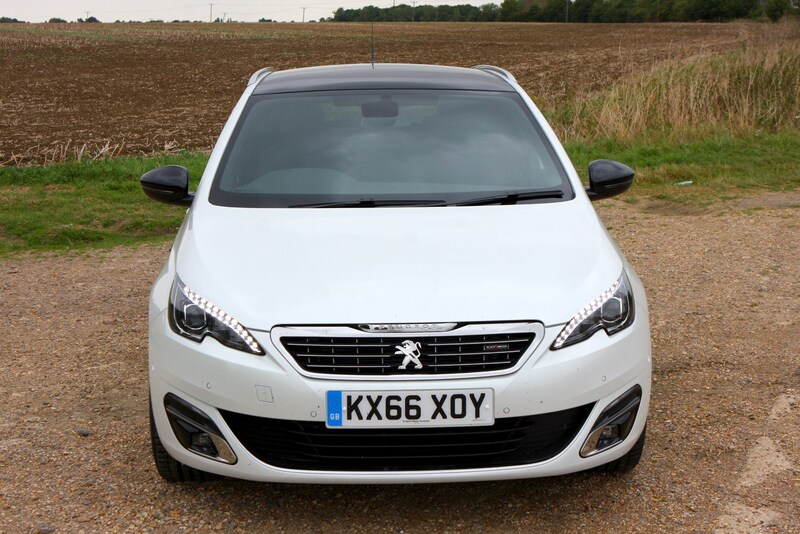 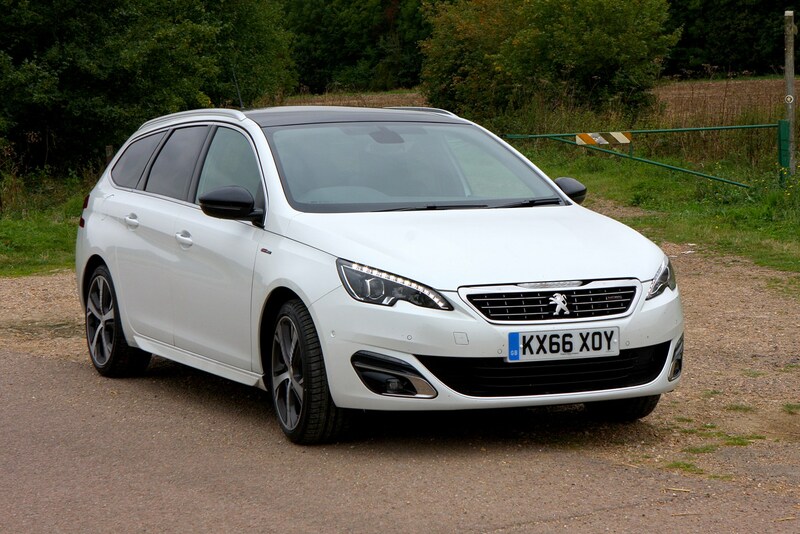 Did you know the most popular review for the 308 range is the Peugeot 308 Hatchback review.